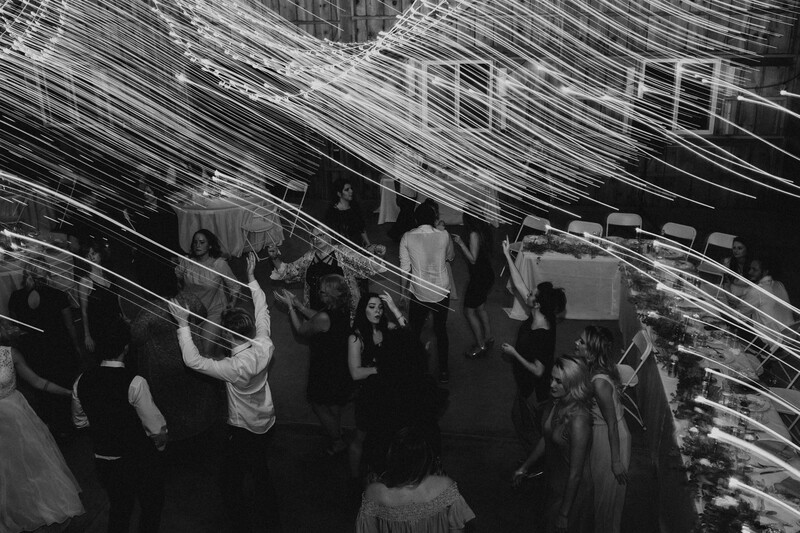 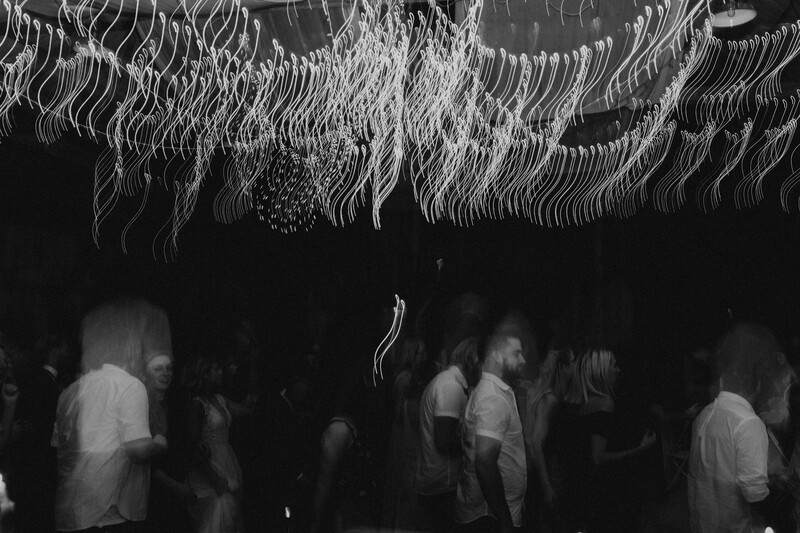 There are certain weddings that I shoot that, while I’m working, I discover that one word perfectly summarizes it. 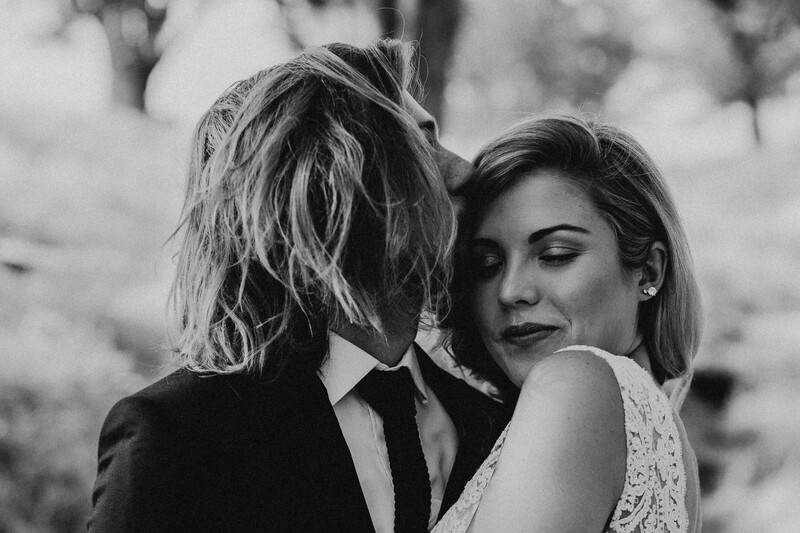 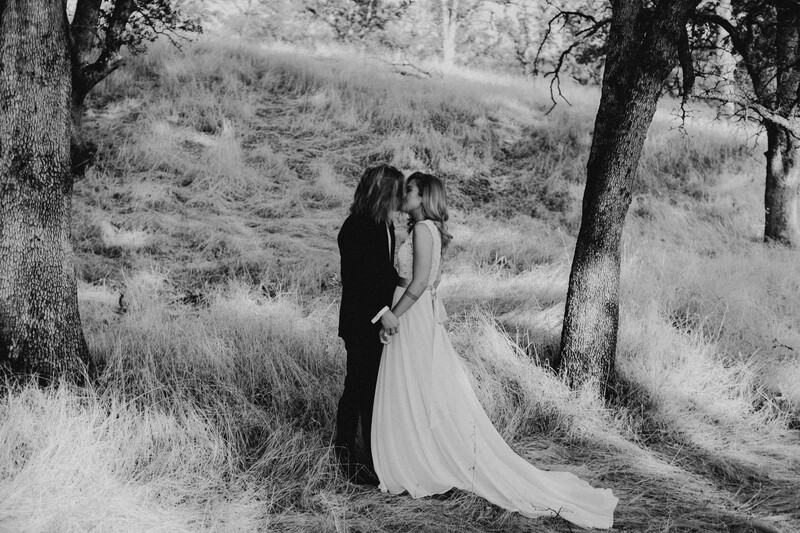 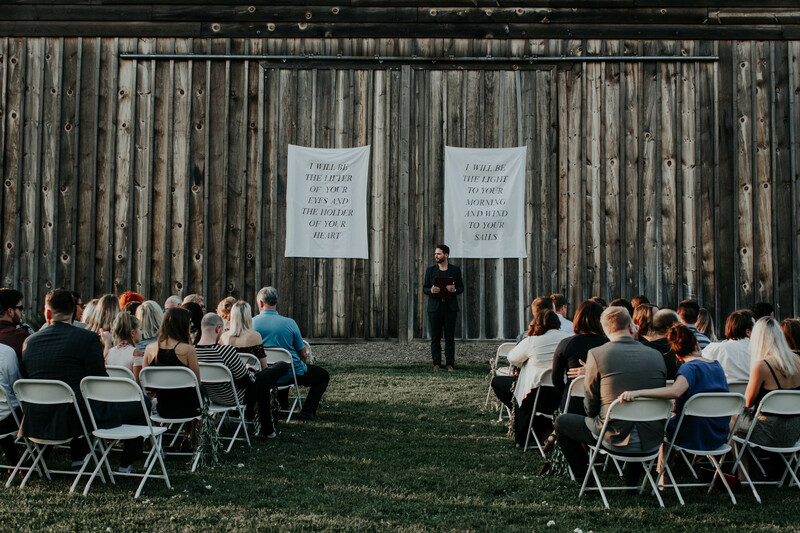 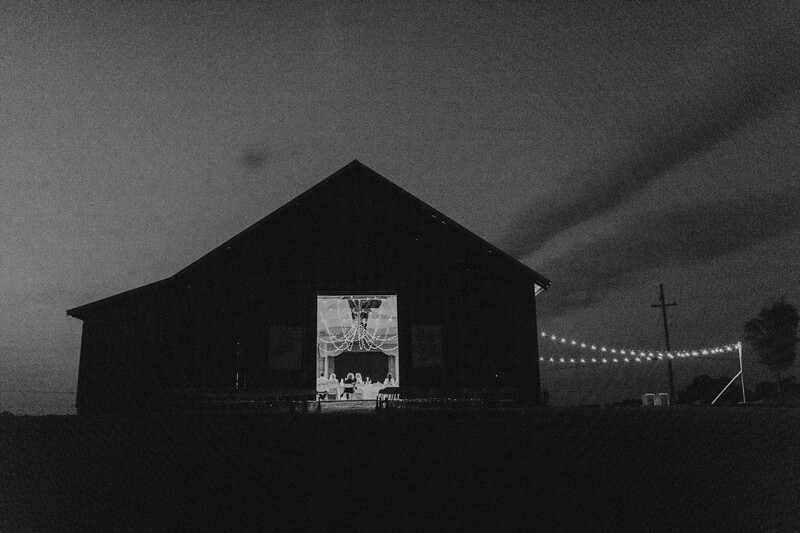 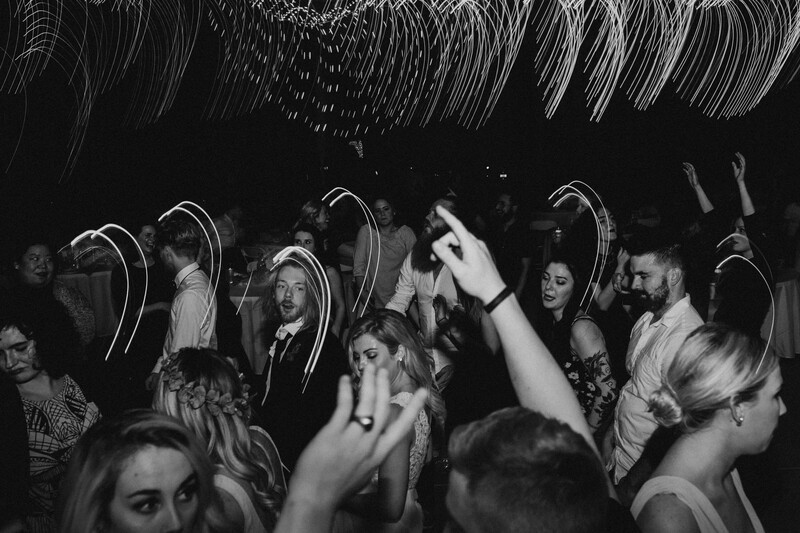 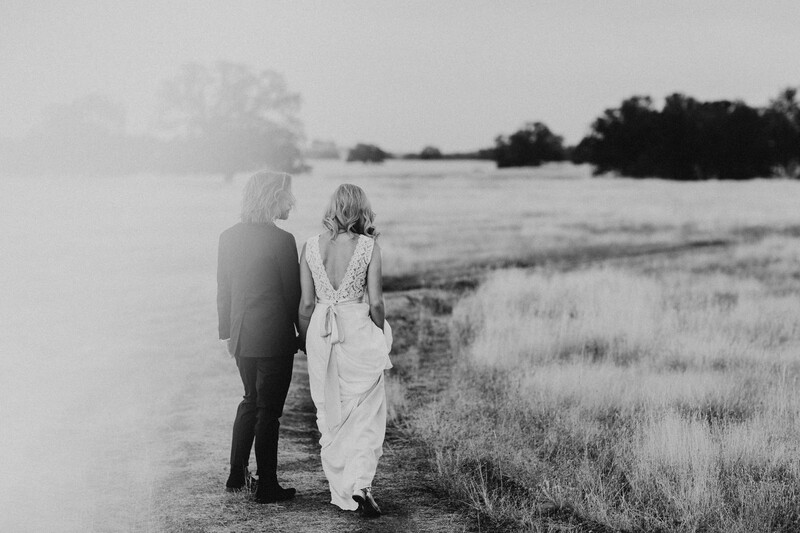 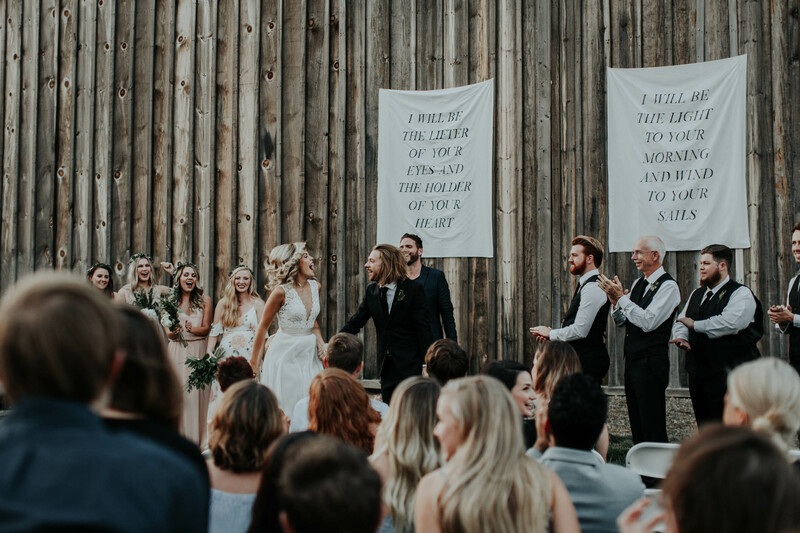 Adam and Charley’s wedding was one of those weddings, and the word? 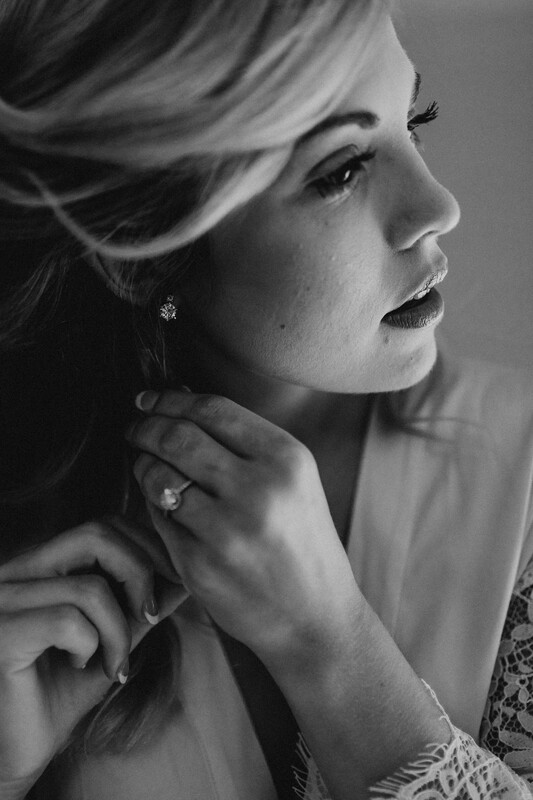 Effervescent. 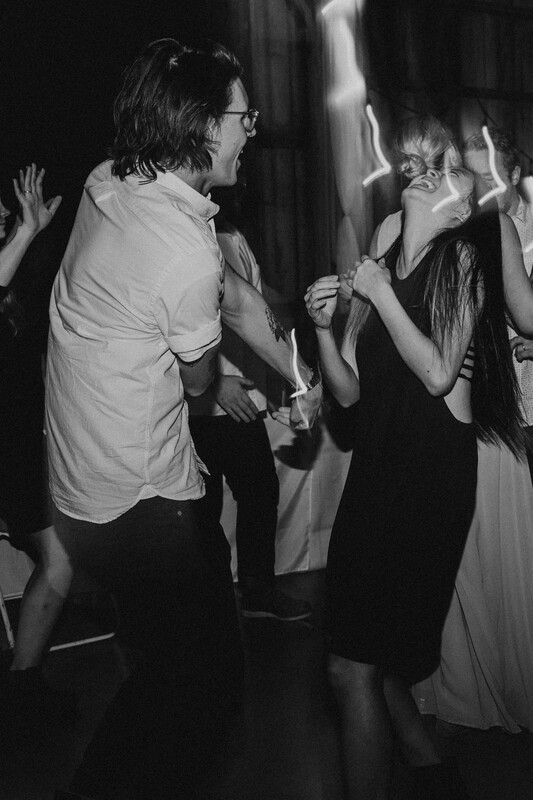 It was vivacious, young, captivating, hopeful, and full of everything that driving down a backroad in the summer at 16 years old feels like. 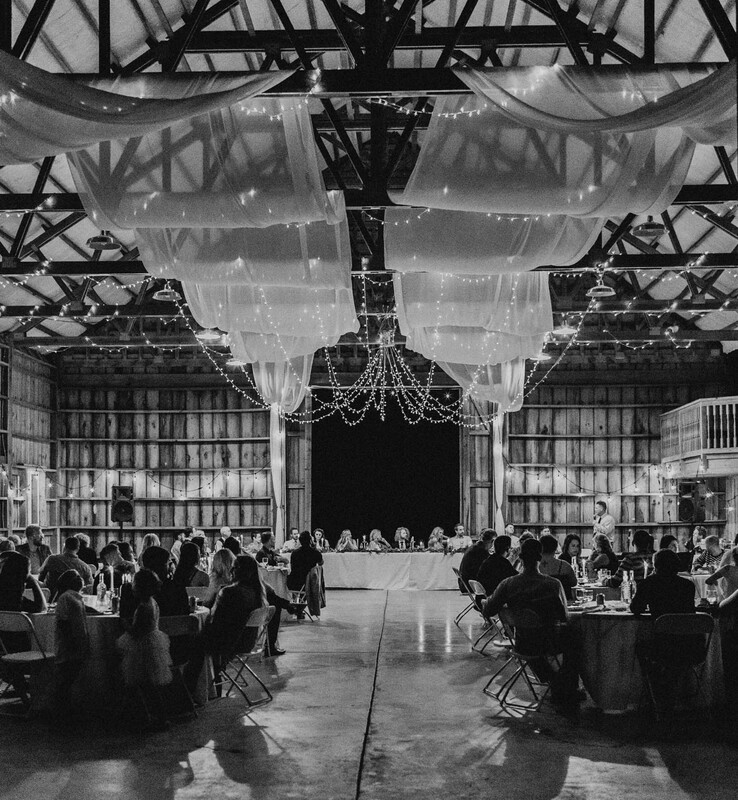 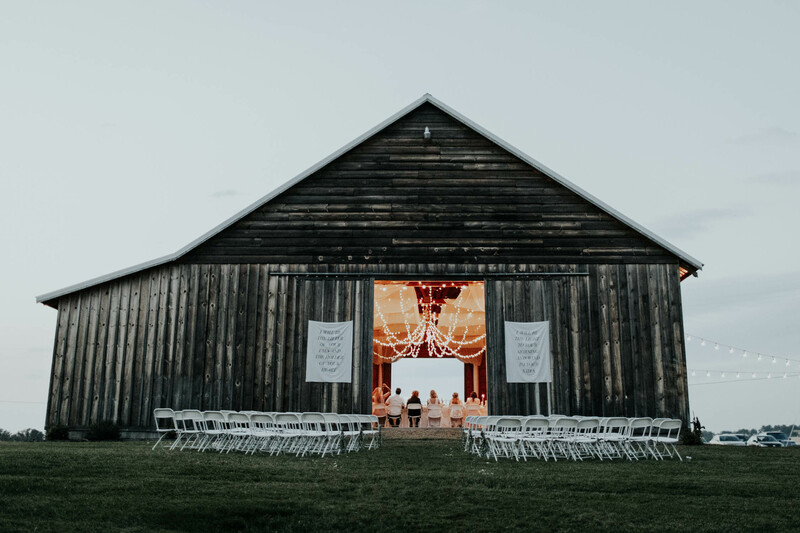 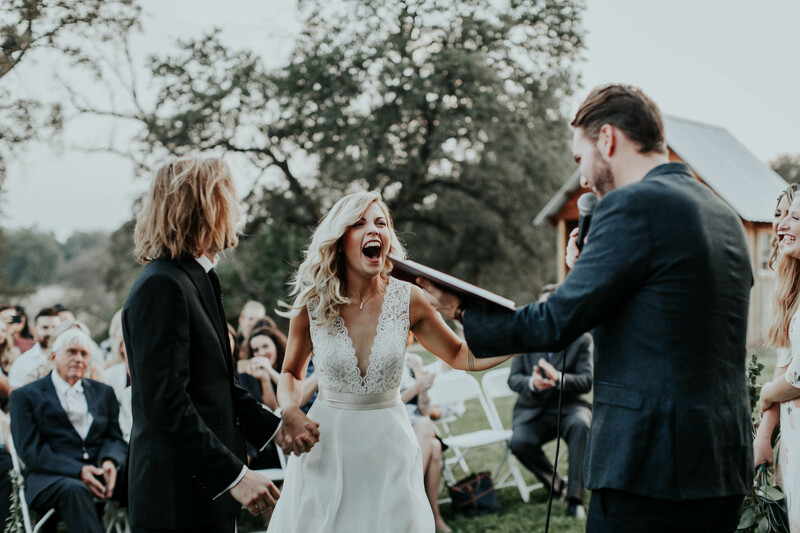 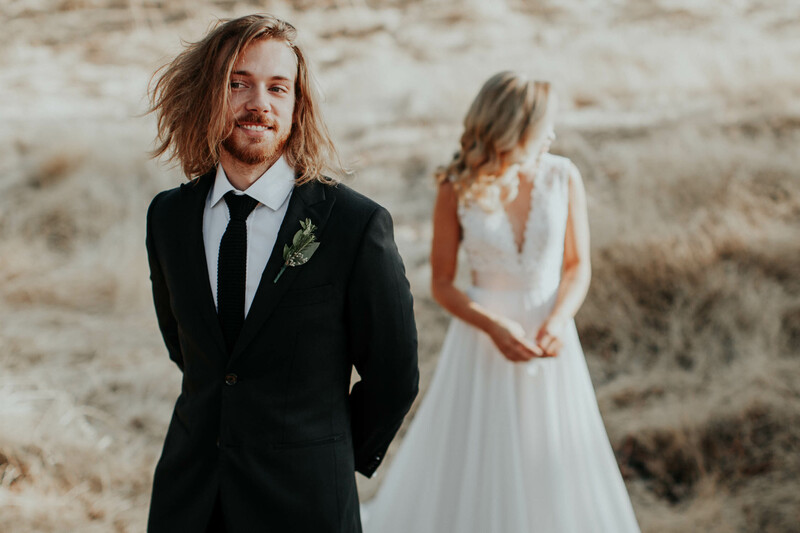 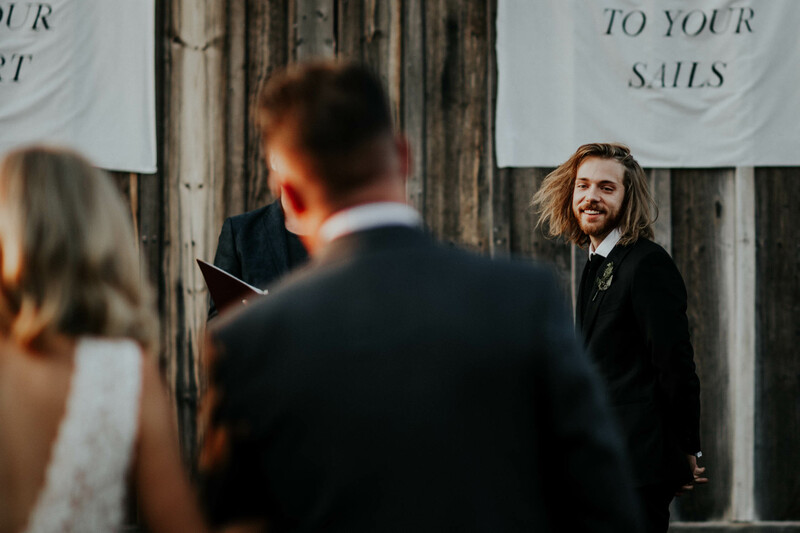 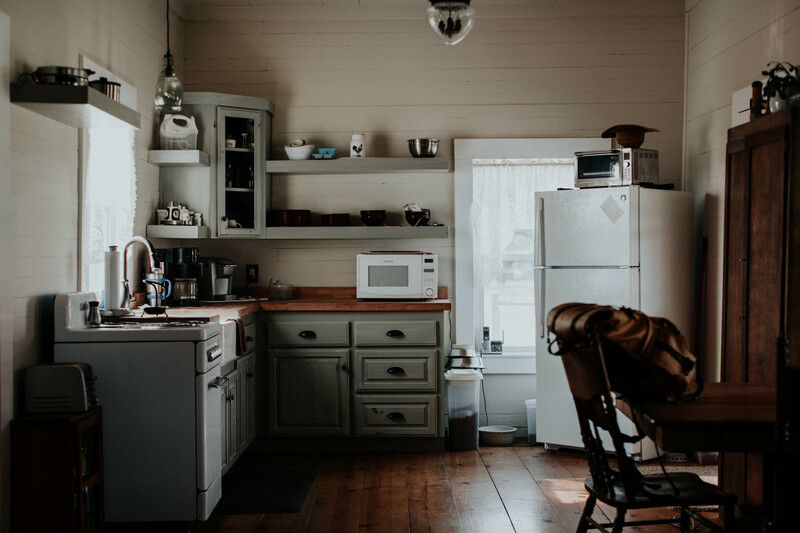 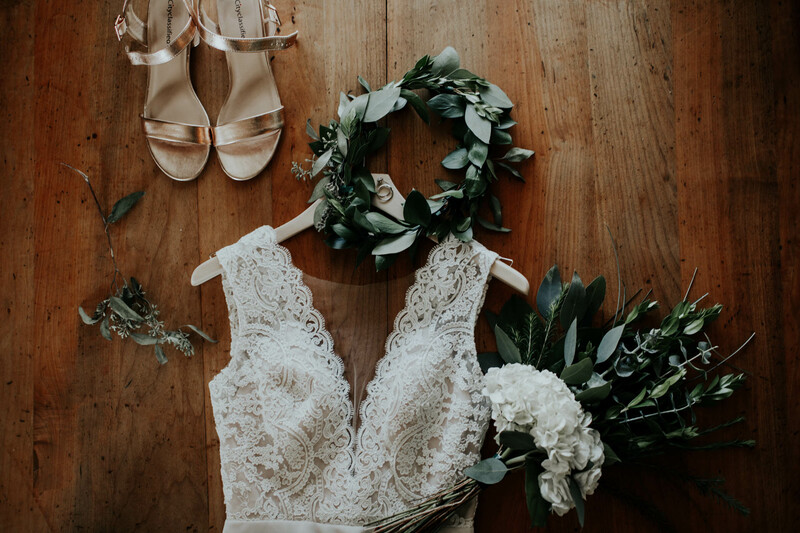 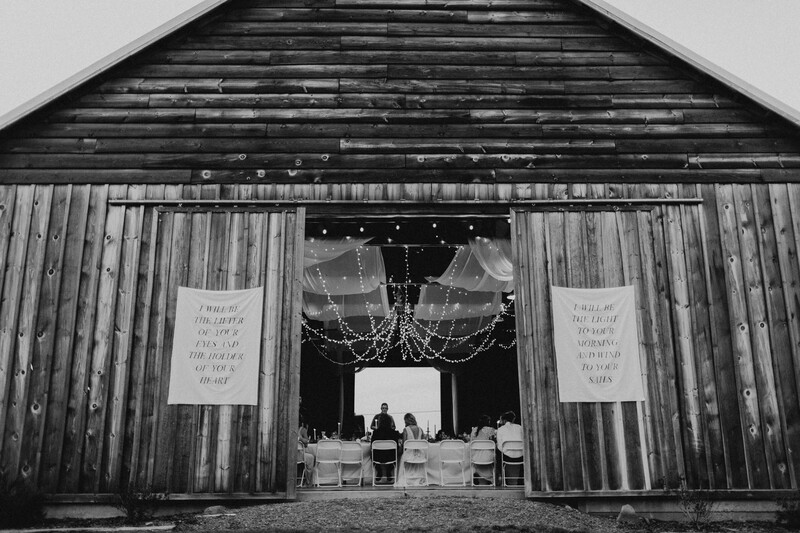 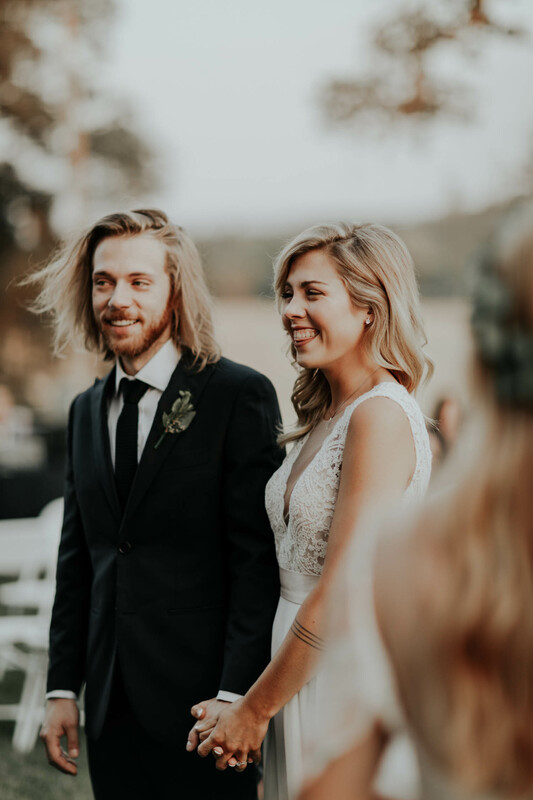 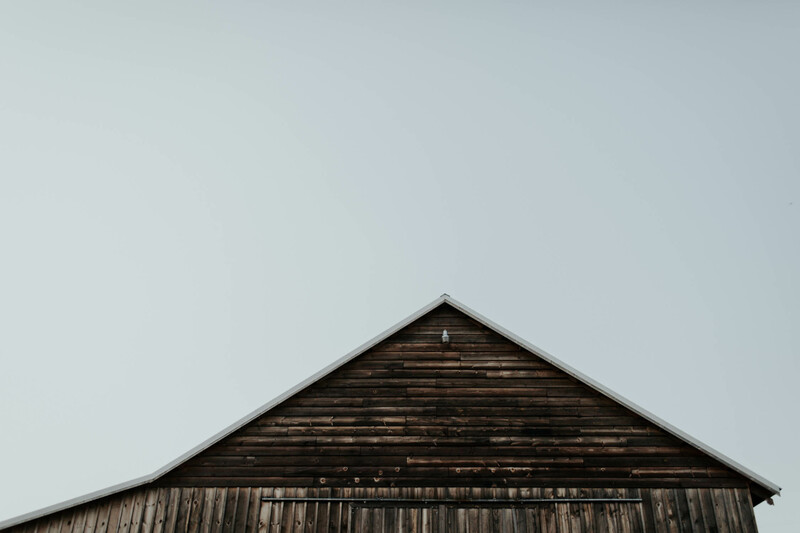 On the day of their wedding, Charley got ready in a charming, antiquated farmhouse, full of character, simplicity, and joy. 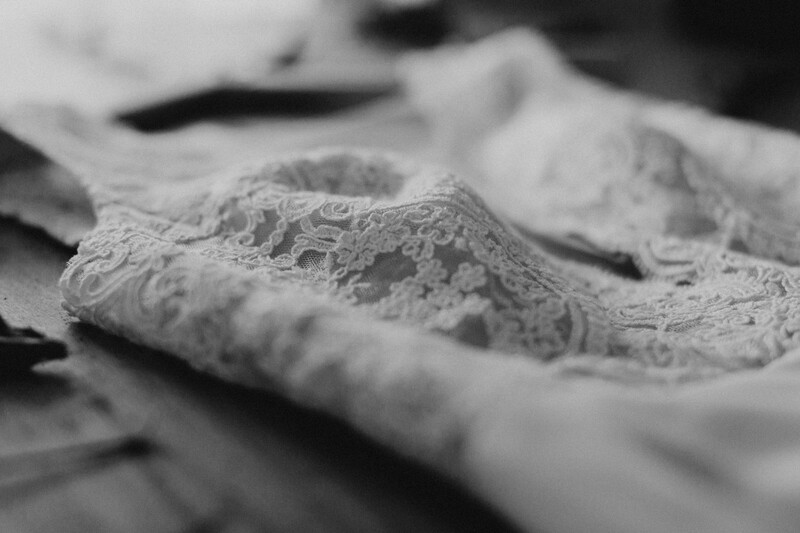 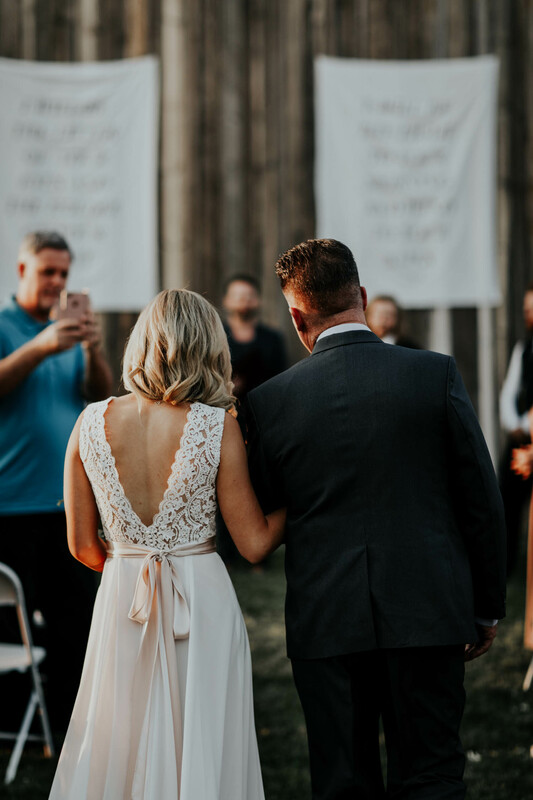 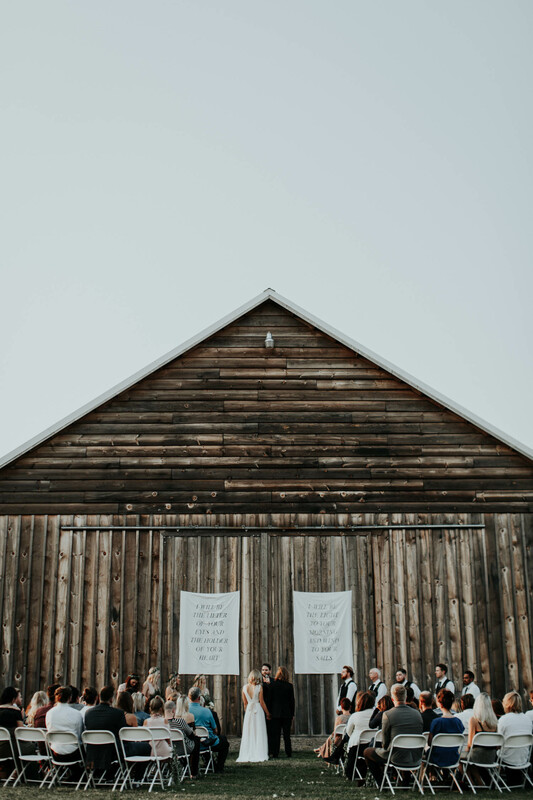 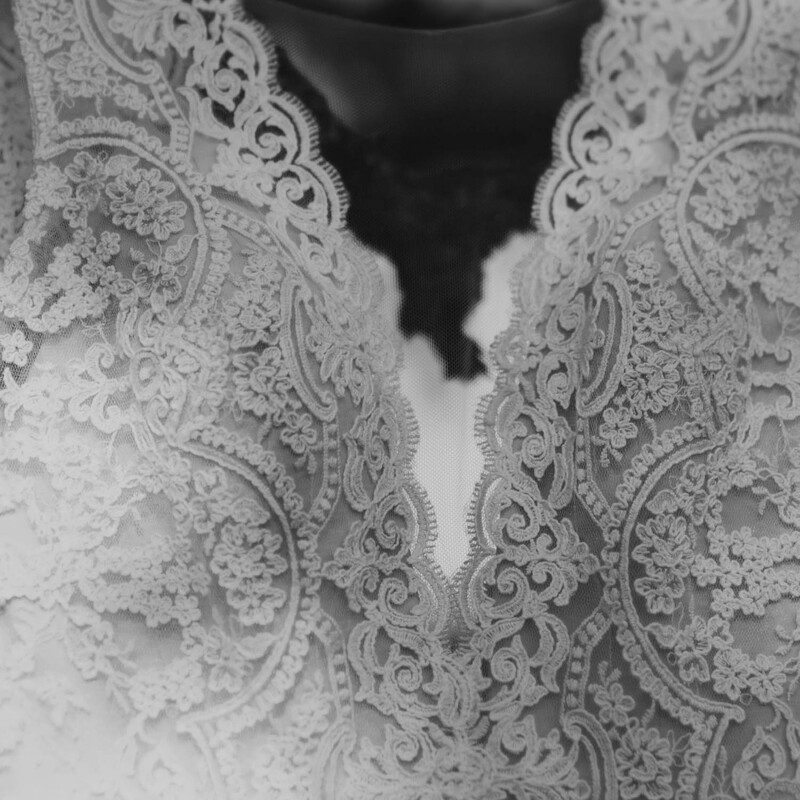 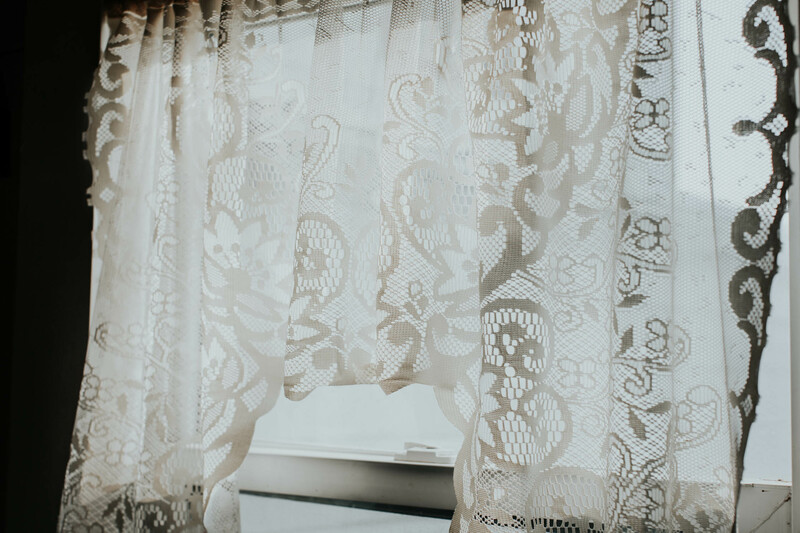 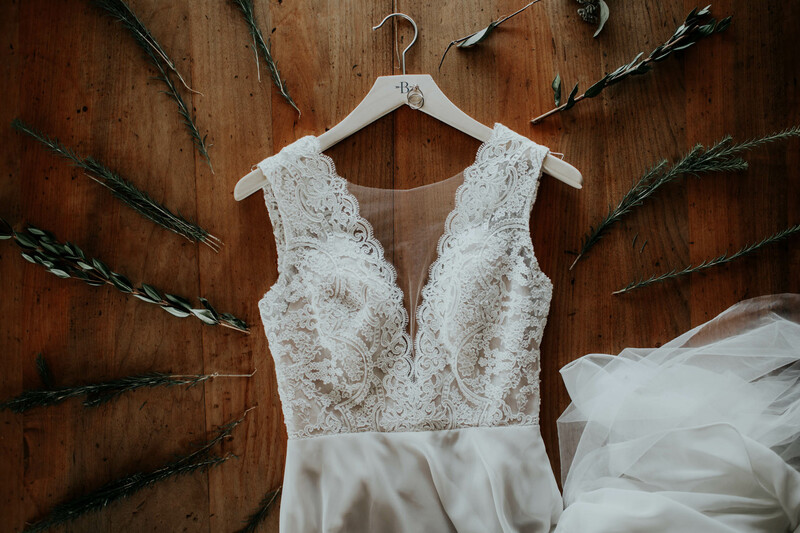 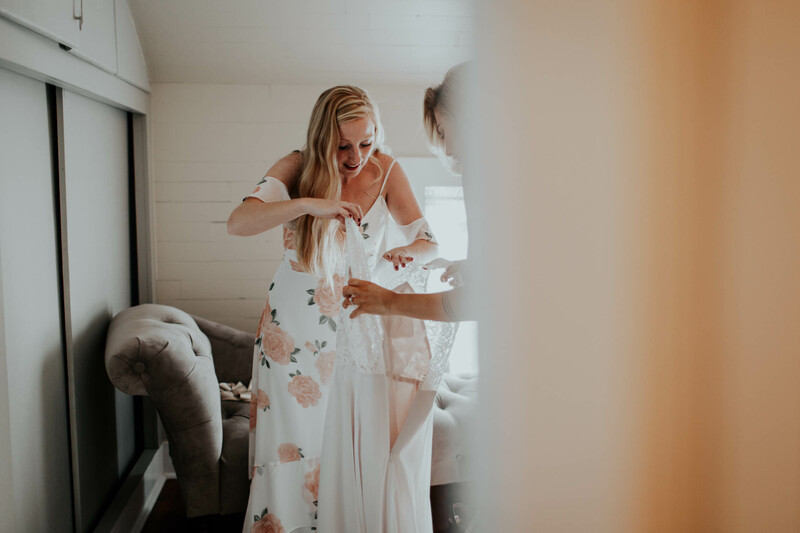 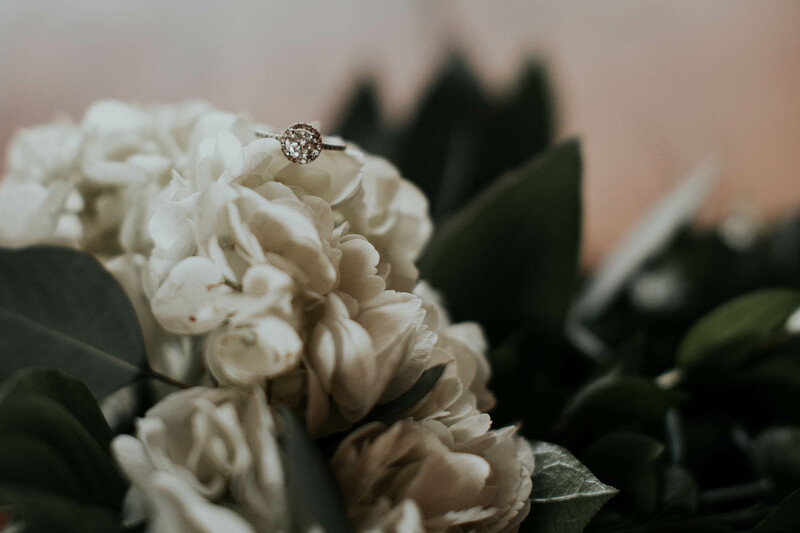 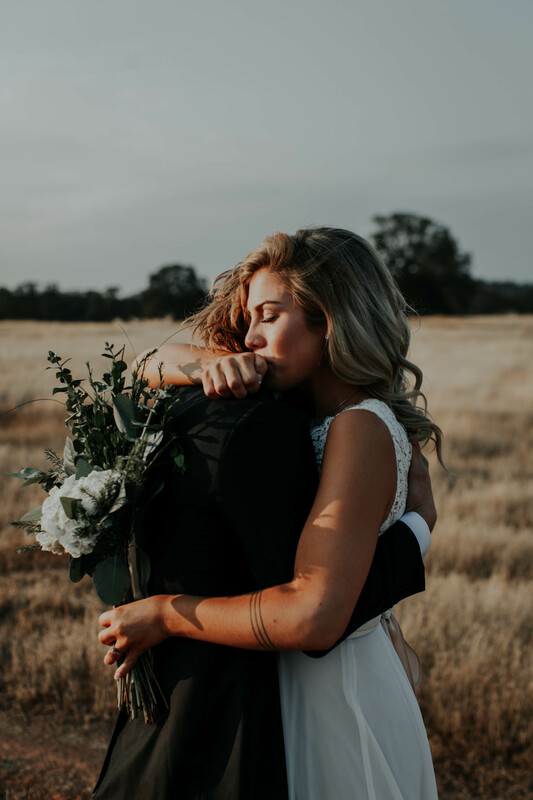 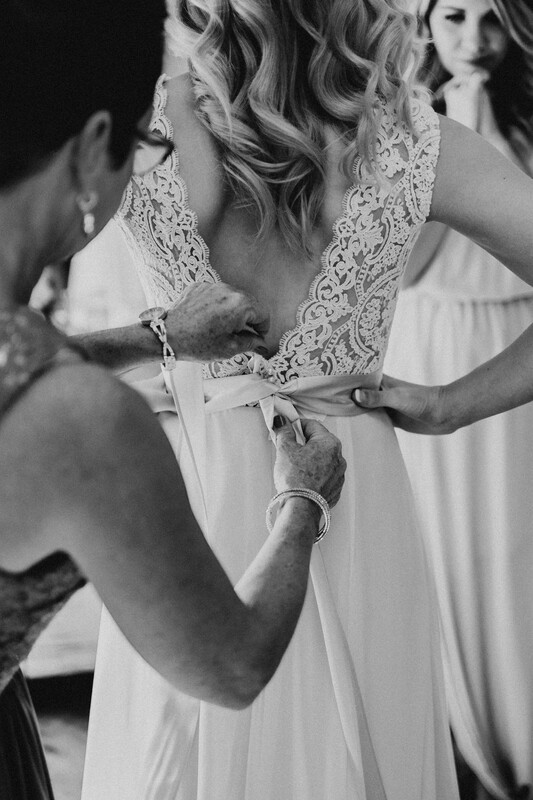 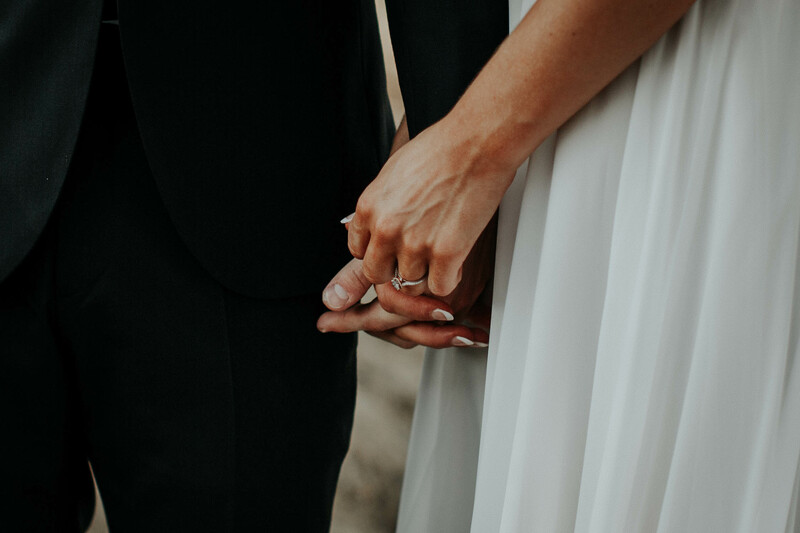 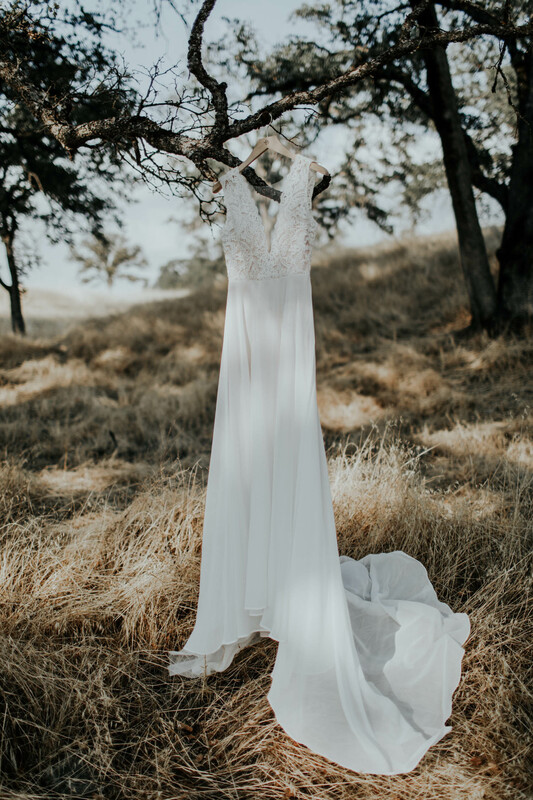 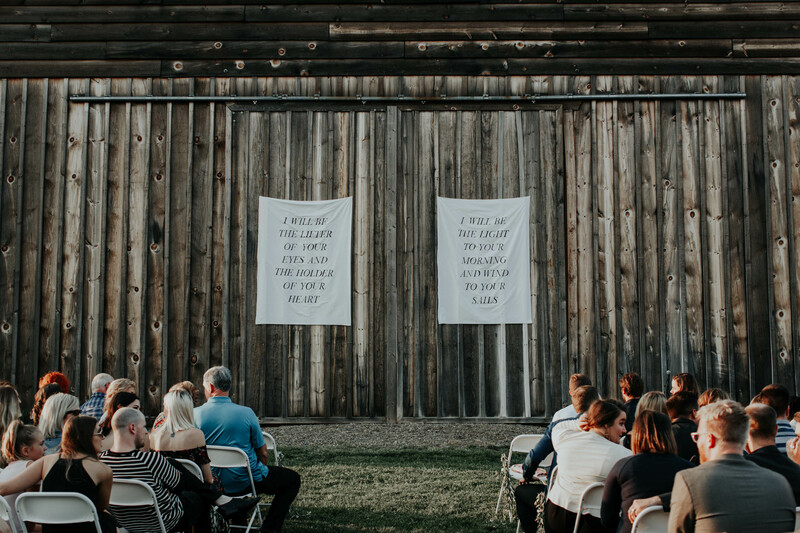 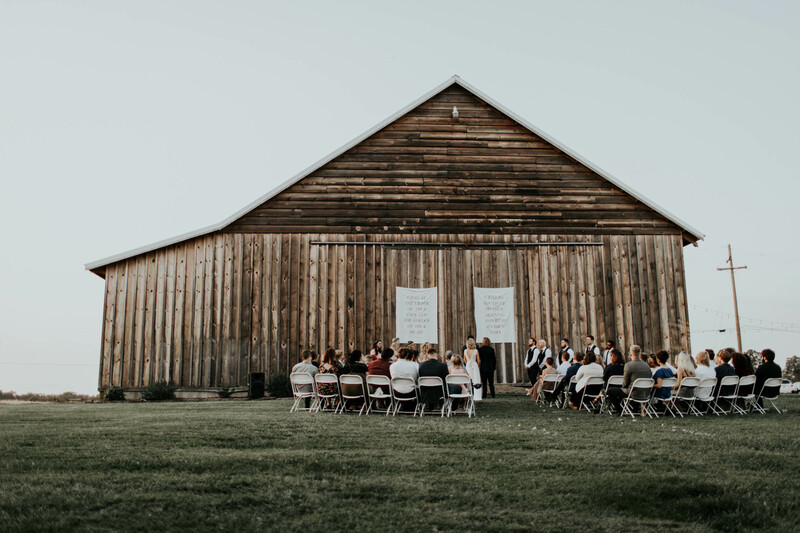 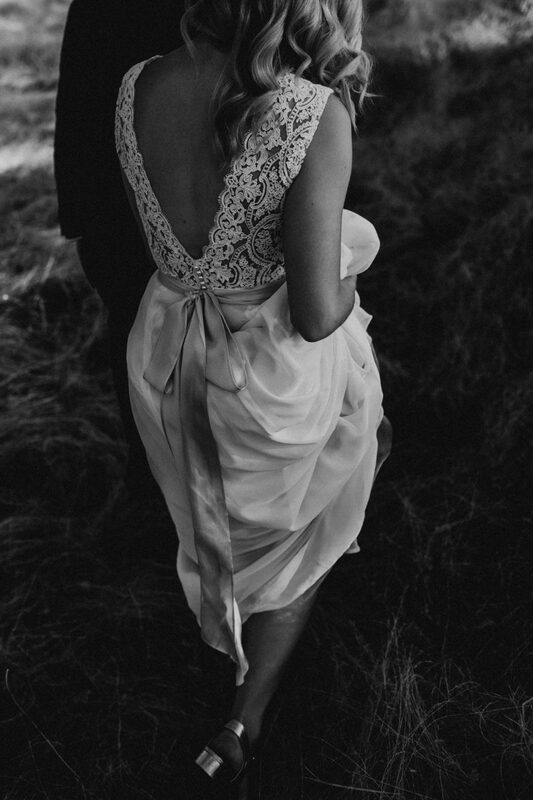 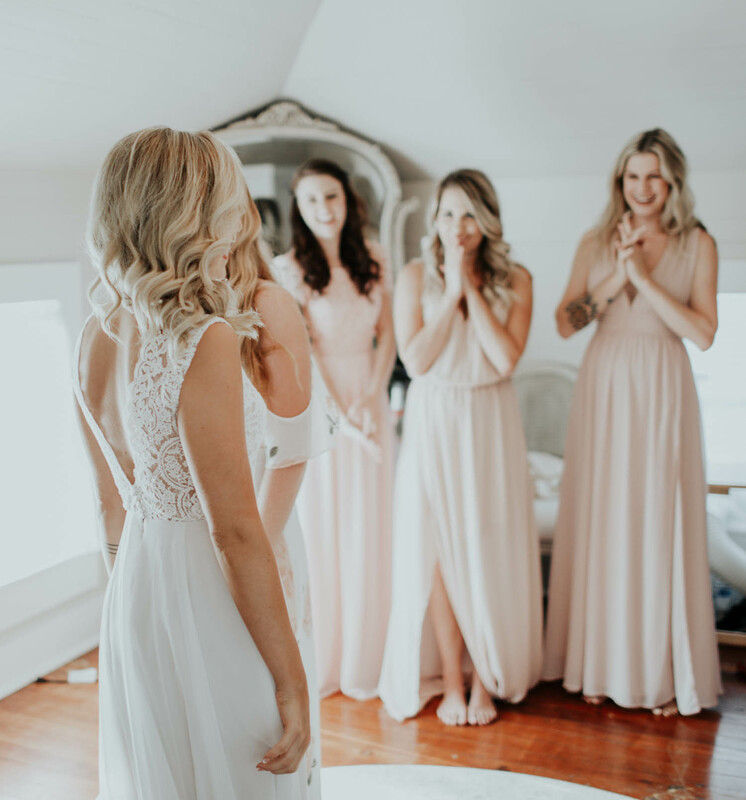 The hope permeated every moment, from the Maid of Honor buttoning her dress to her Mother in Law tying her sash tightly around her waist, hugging her in the gravity and grace of this momentous moment. 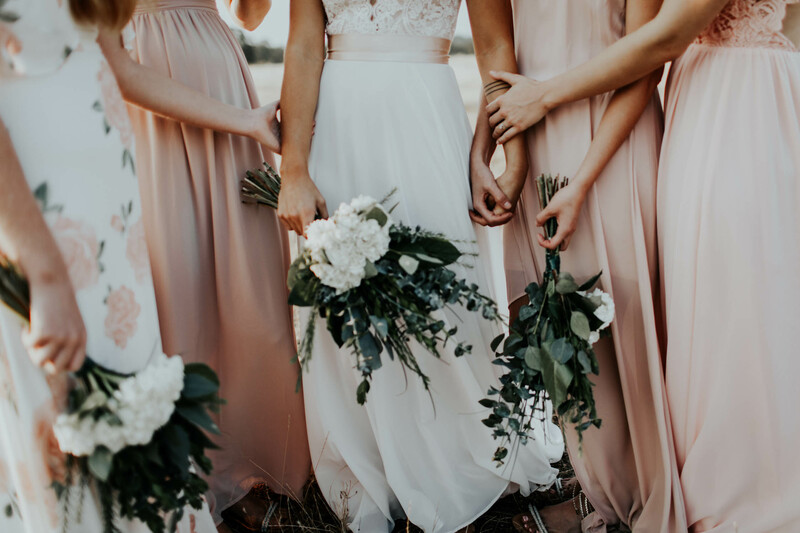 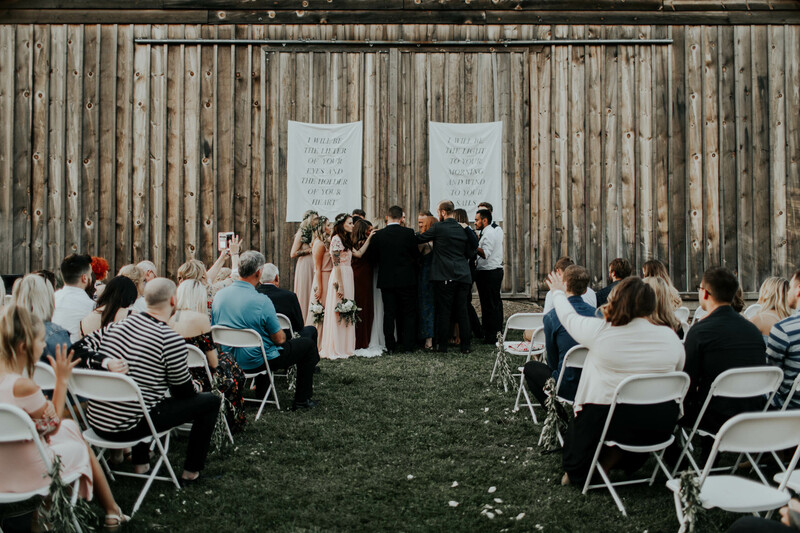 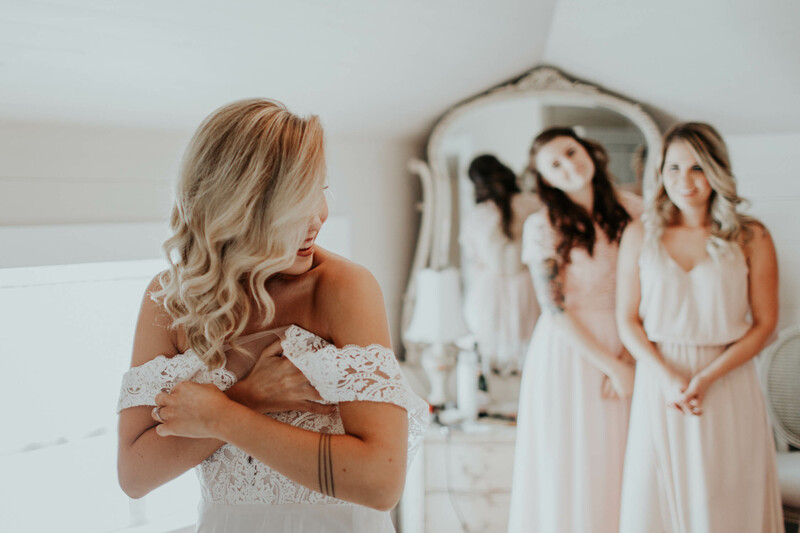 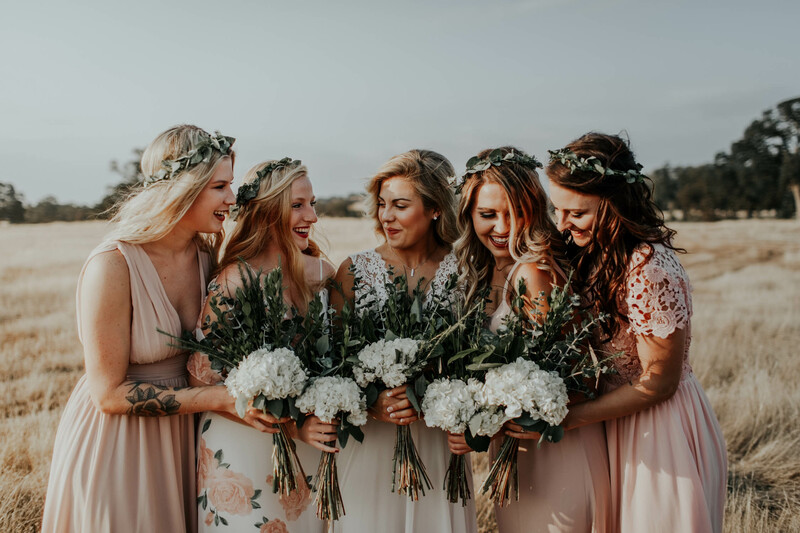 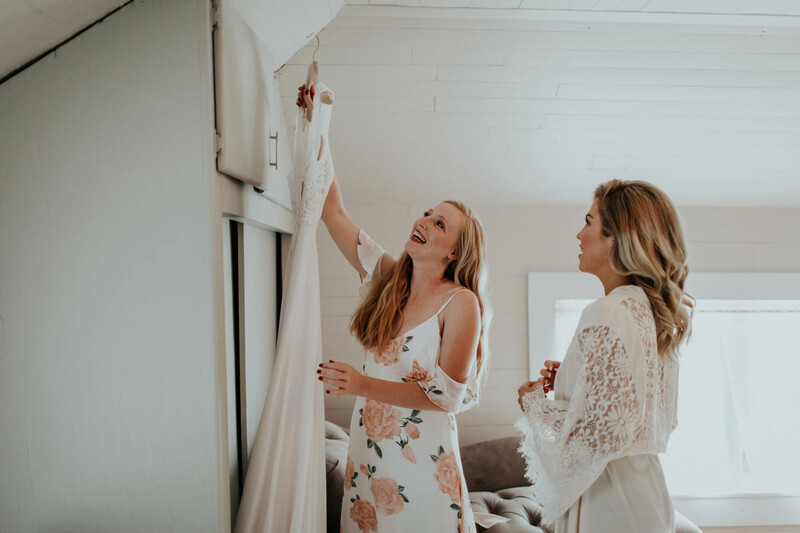 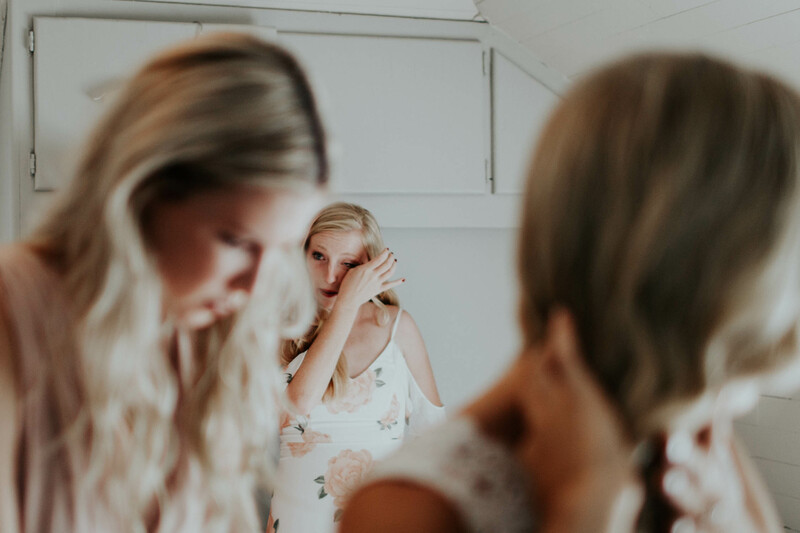 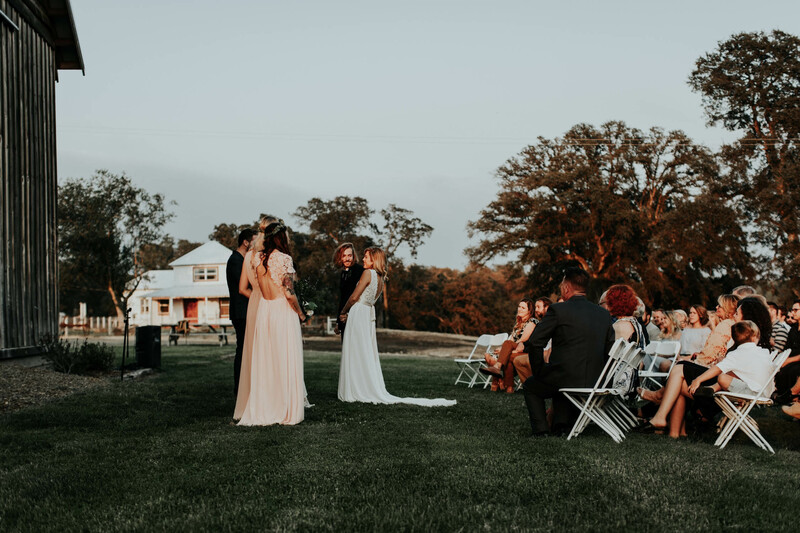 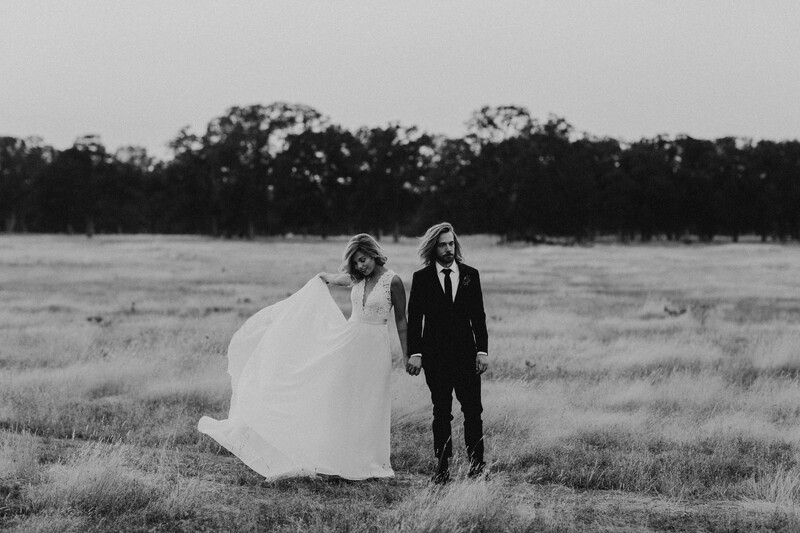 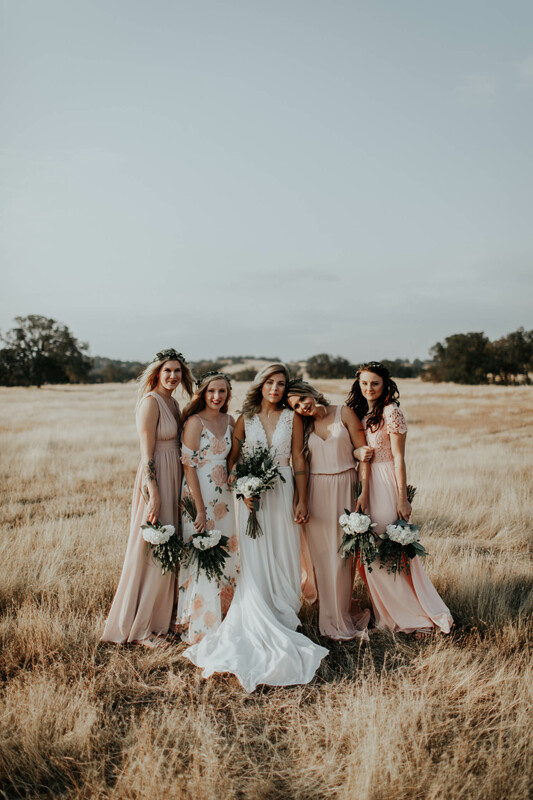 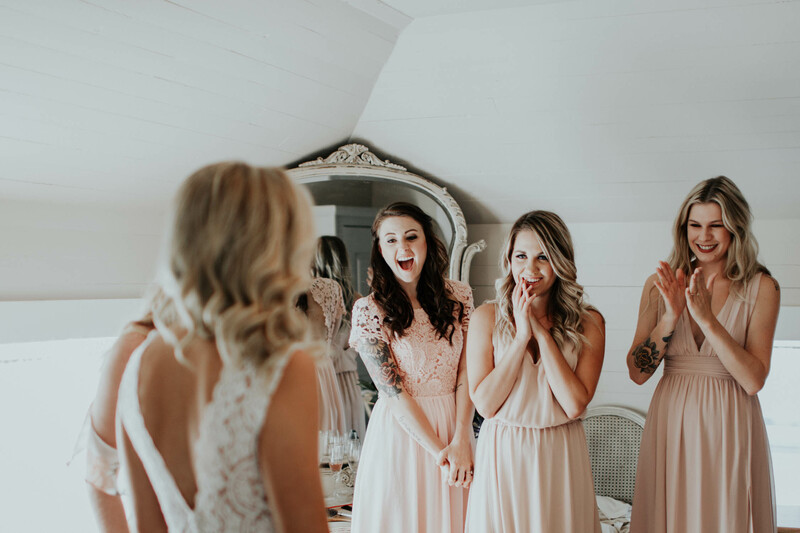 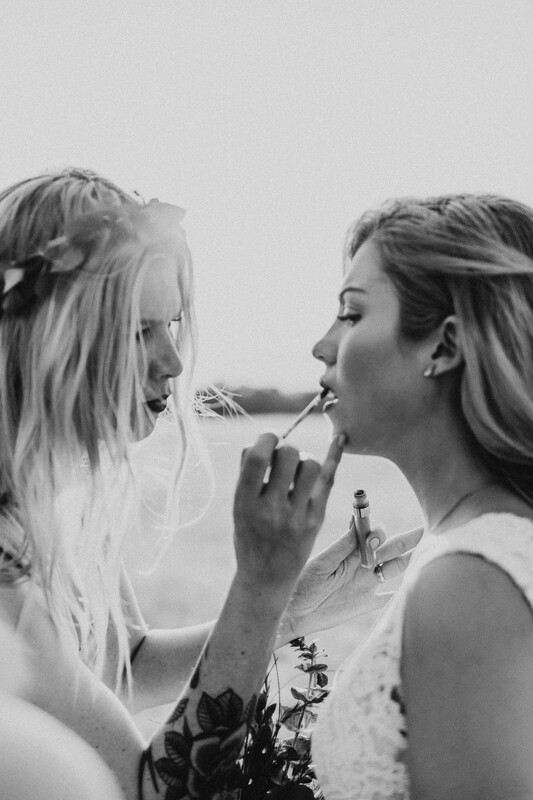 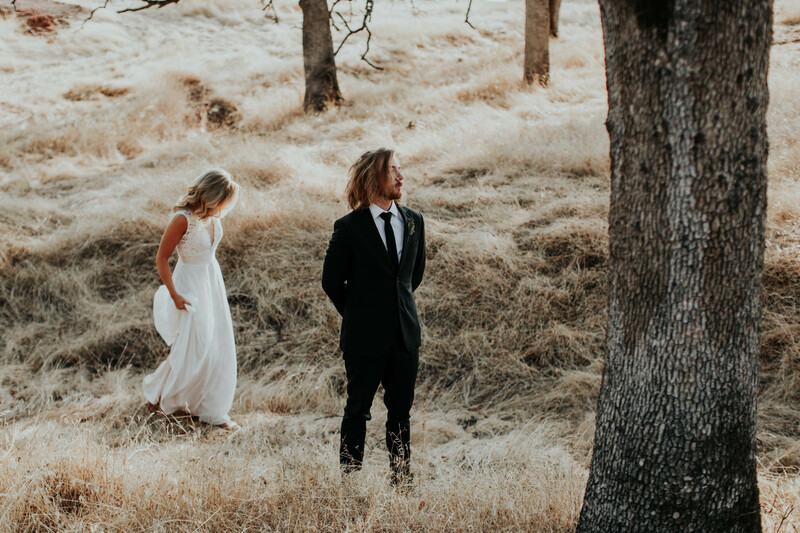 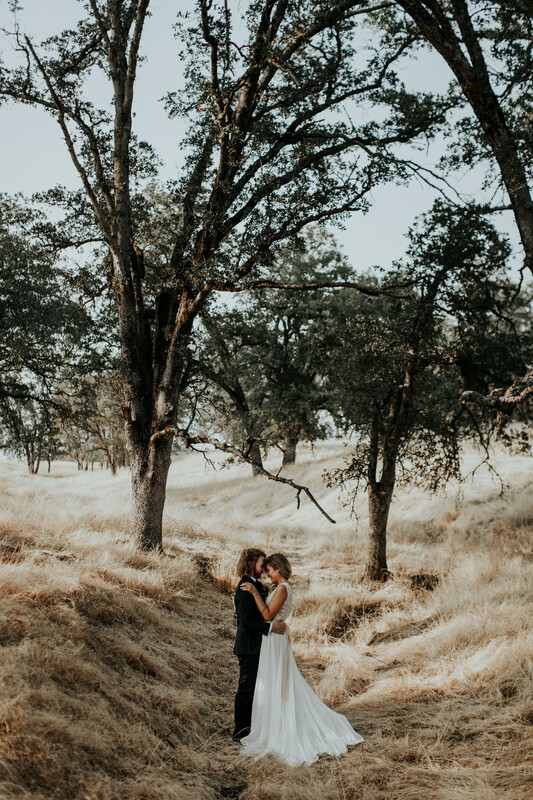 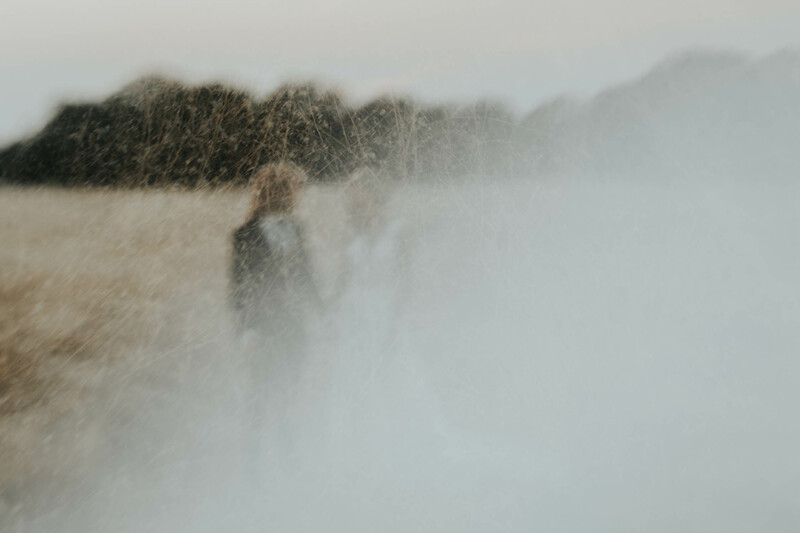 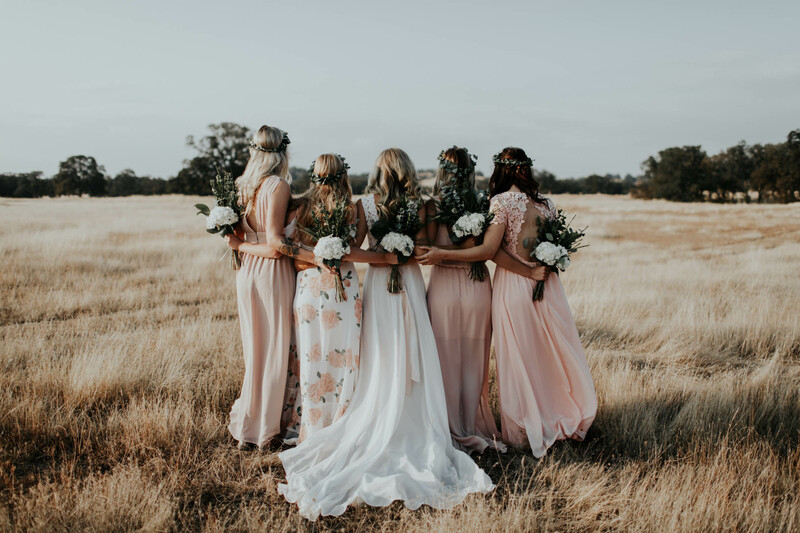 She left the room with her bridesmaids in joyful tears, and as she headed to the field behind the house for her First Look with Adam, I was ready for all of the magic that was about to ensue. 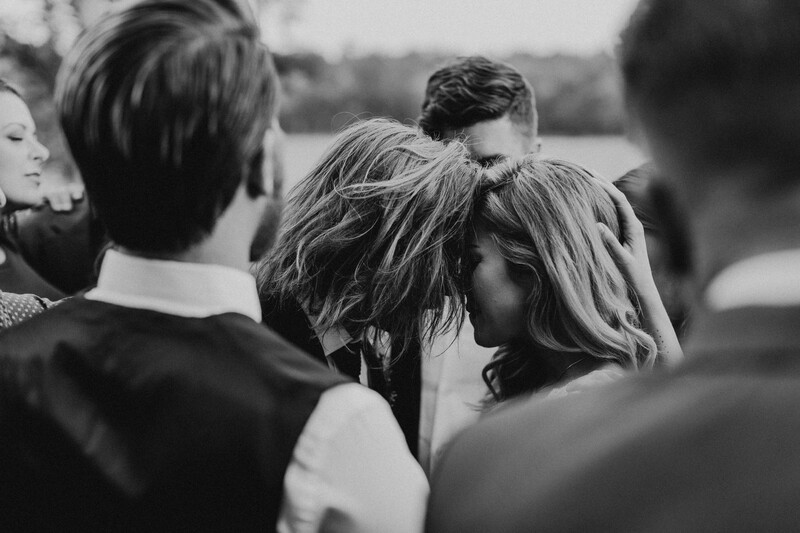 When they saw one another, they embraced tenderly, and Adam went in for a long, sweet kiss. 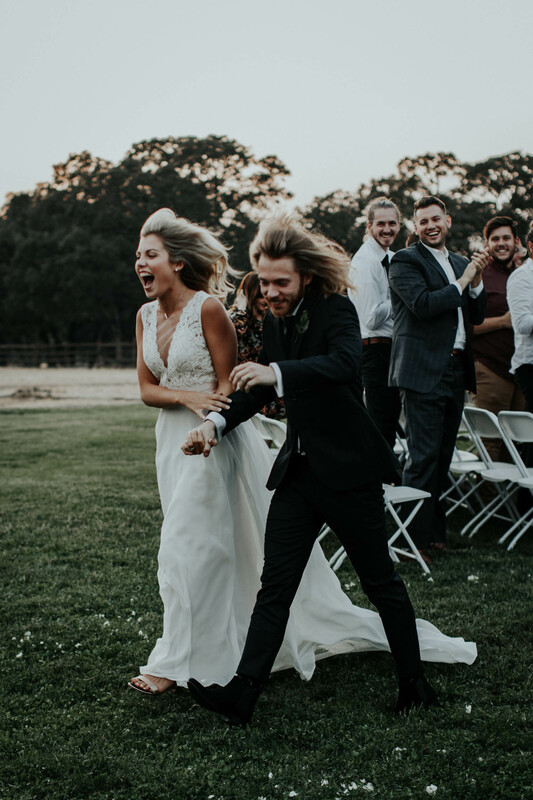 Their joy, and longing for this day that had finally arrived, was easy to capture. 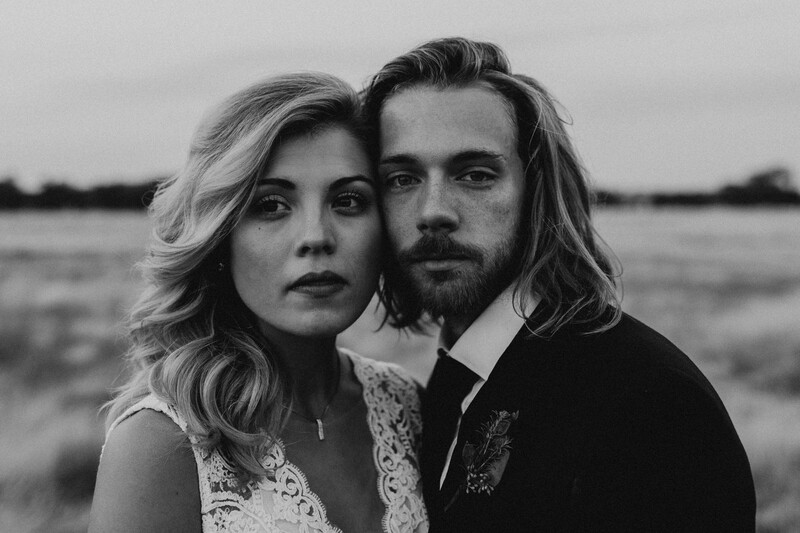 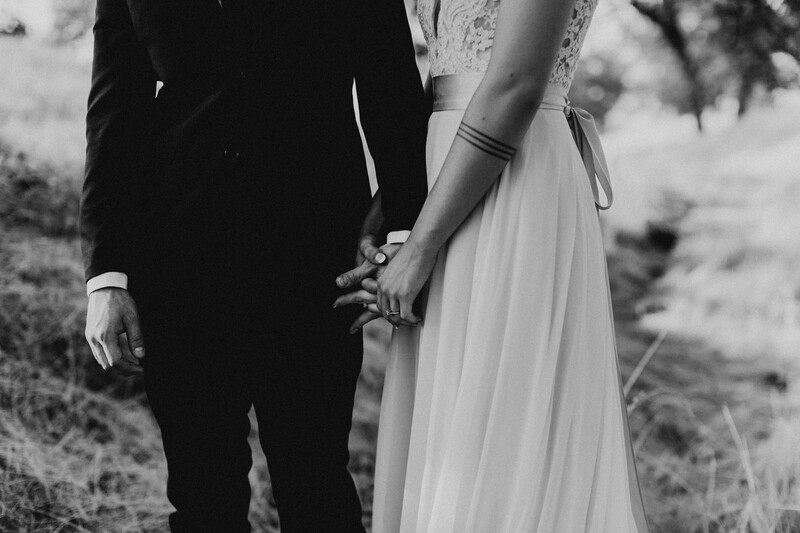 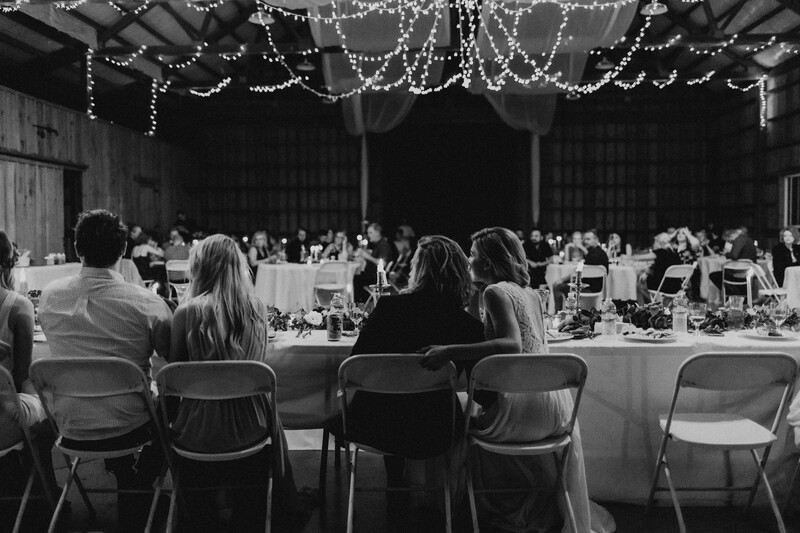 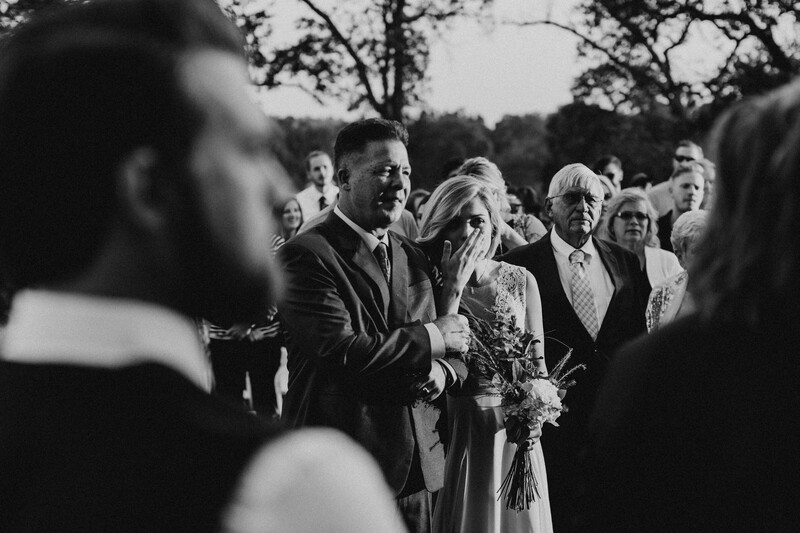 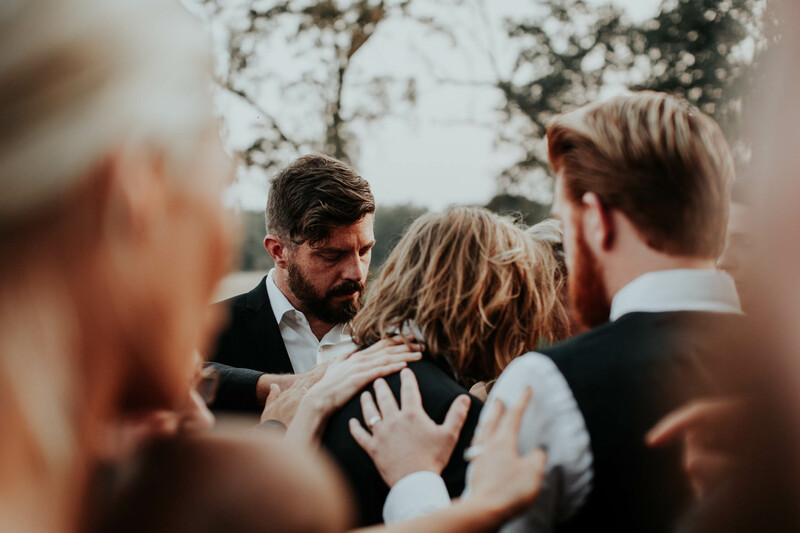 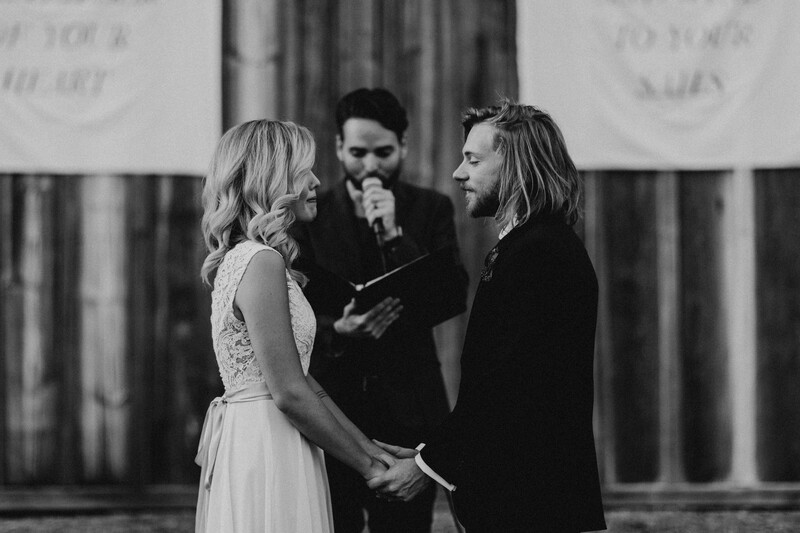 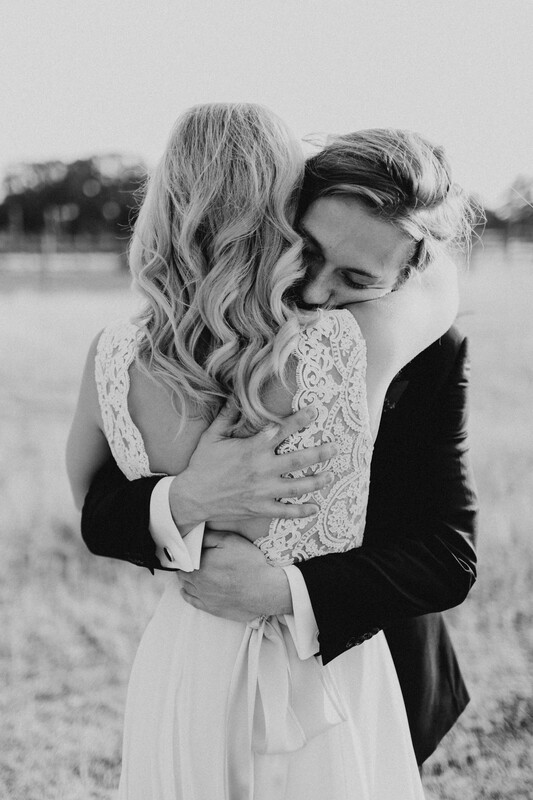 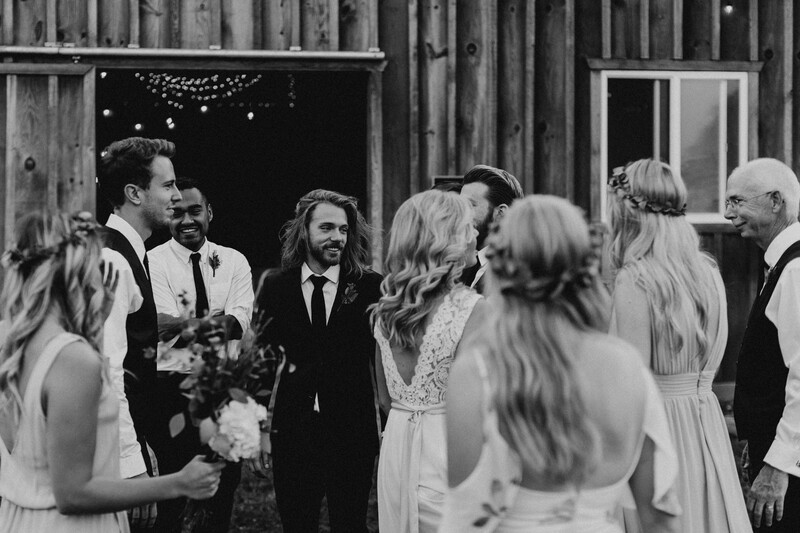 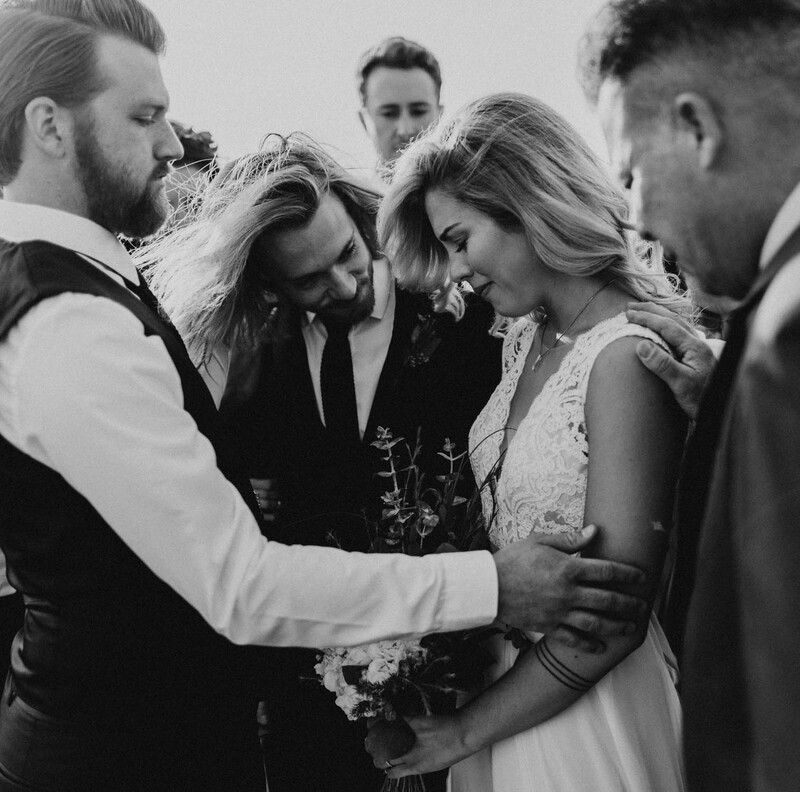 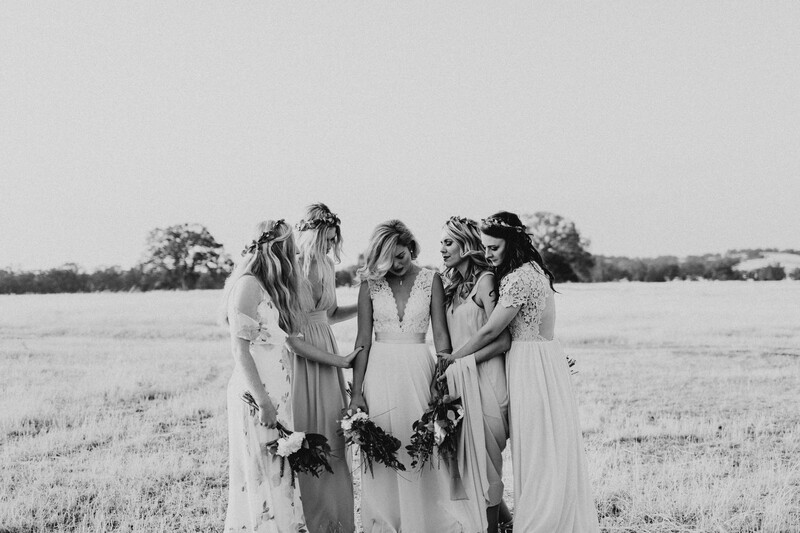 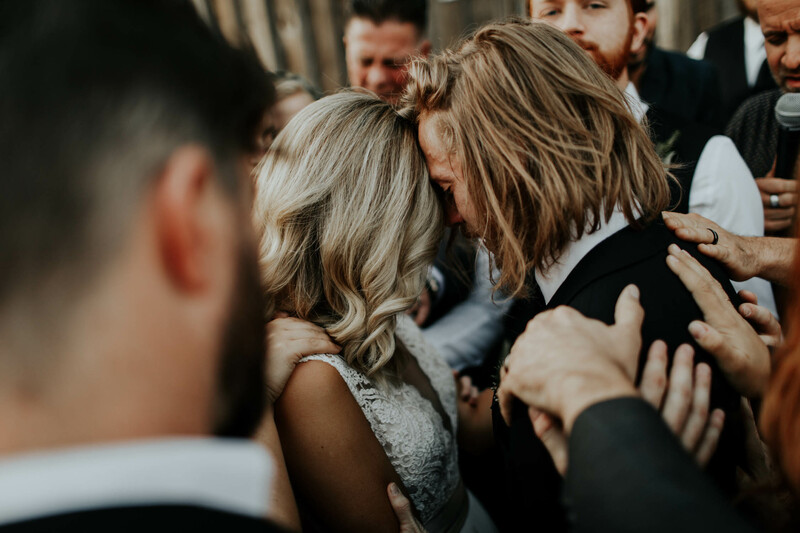 After they reunited with their bridal party, there were prayers, tears, and beauty abundant. 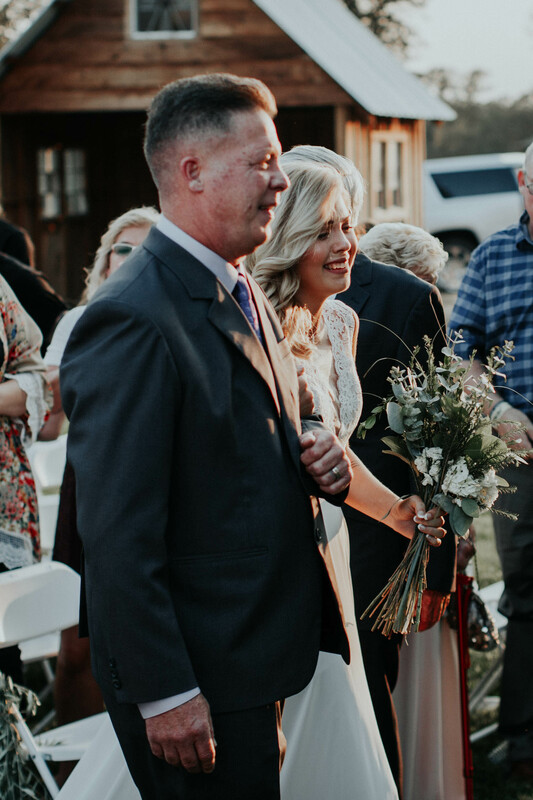 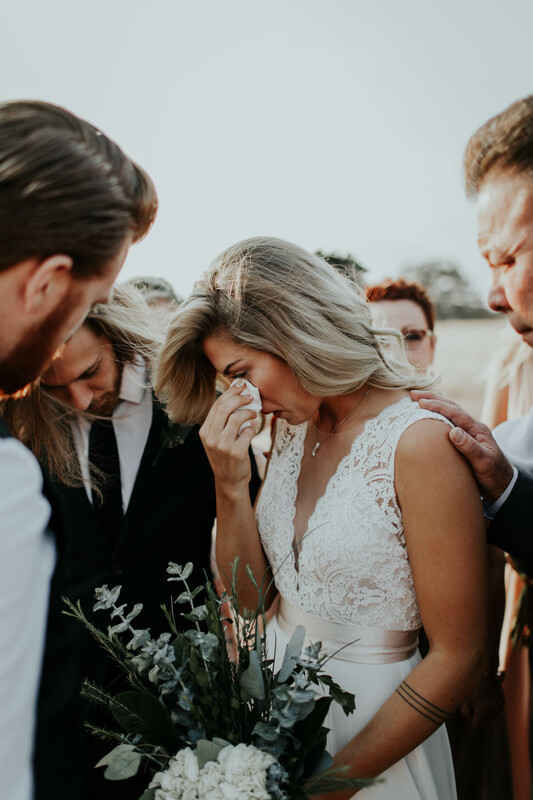 As Charley made her way down the aisle with her father, she cried tears of joy, and throughout the ceremony, those tears and laughs became the hallmark of the day. 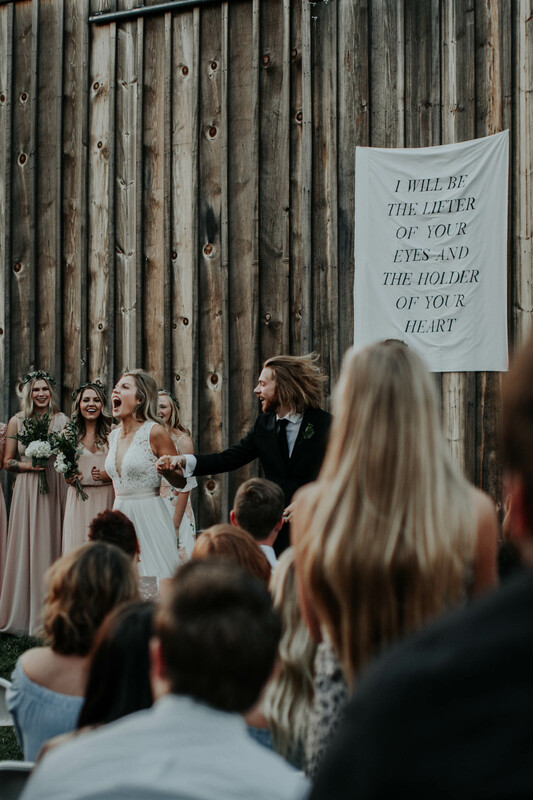 Once they were officially declared husband and wife, Charley lept into the air and hooted with joy. 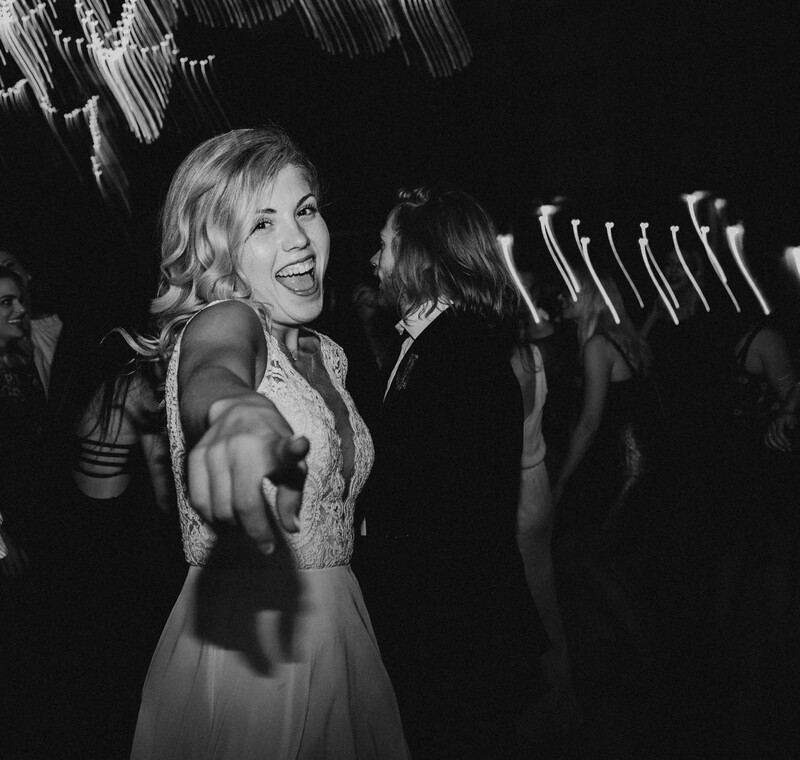 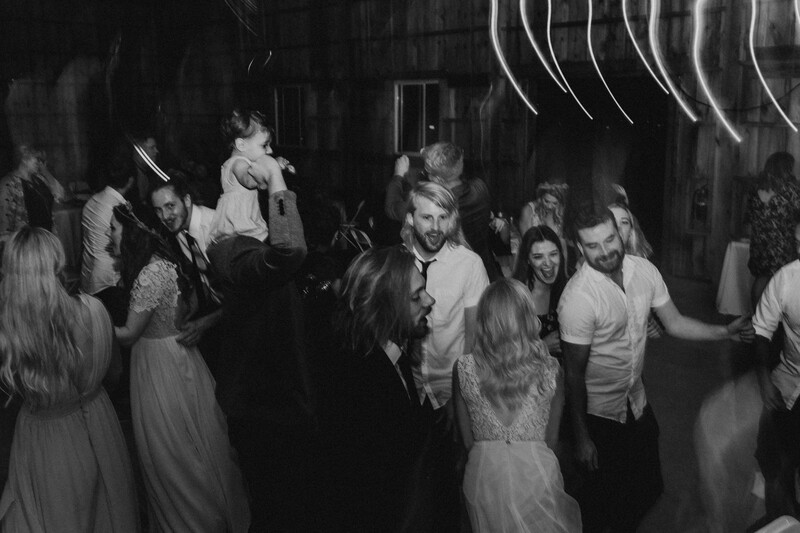 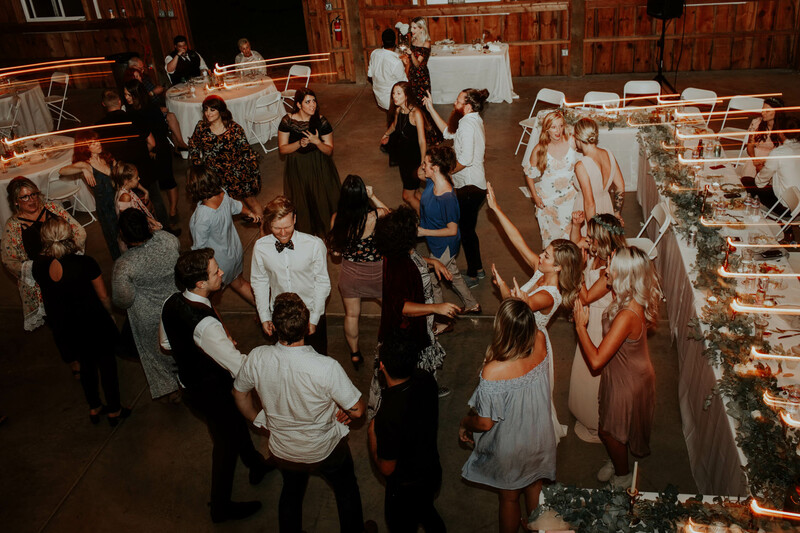 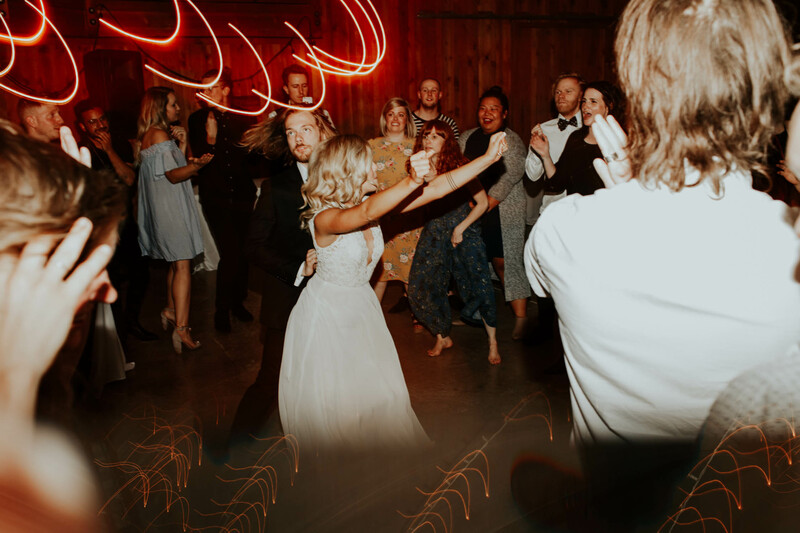 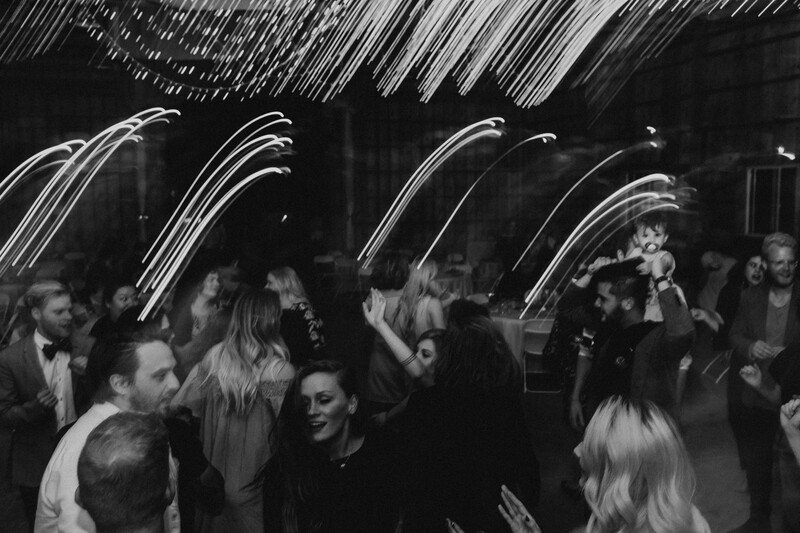 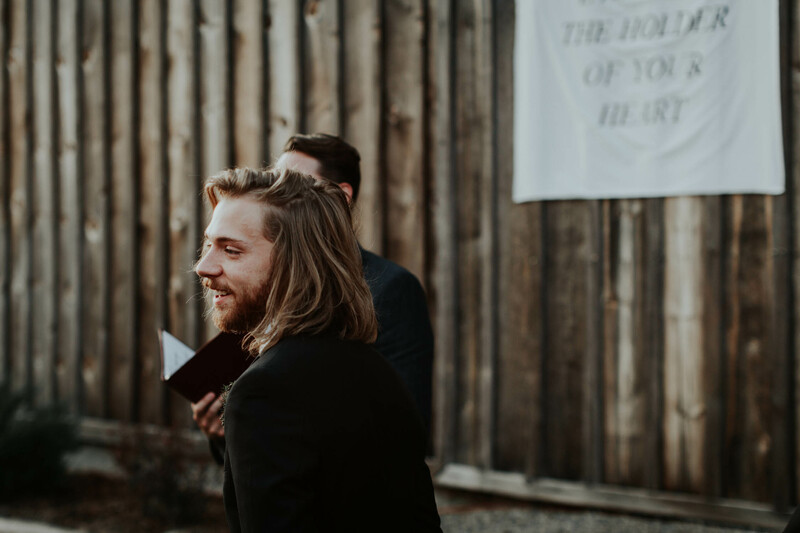 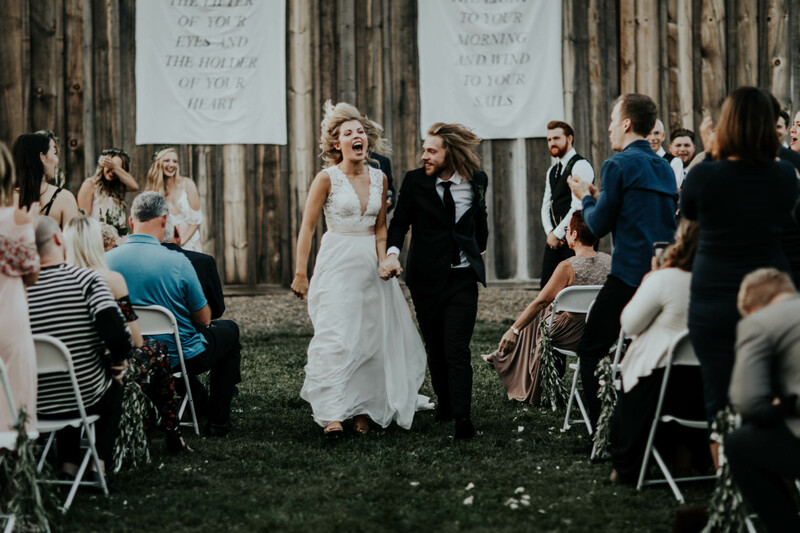 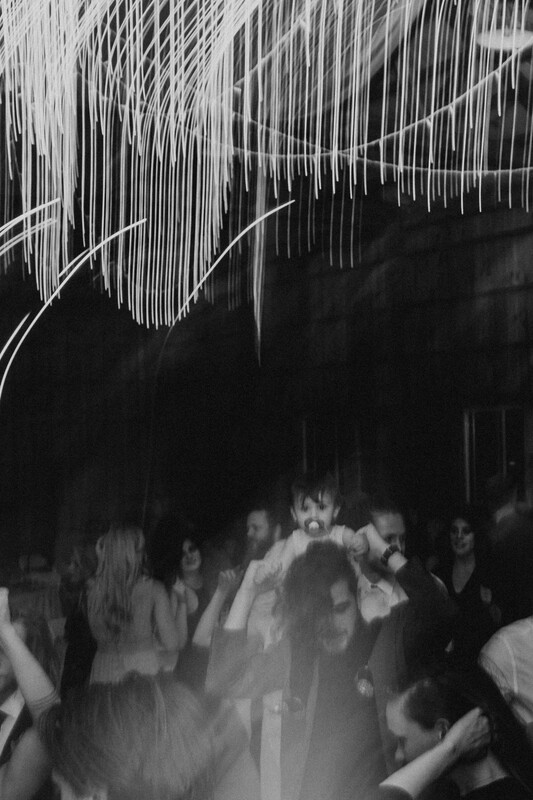 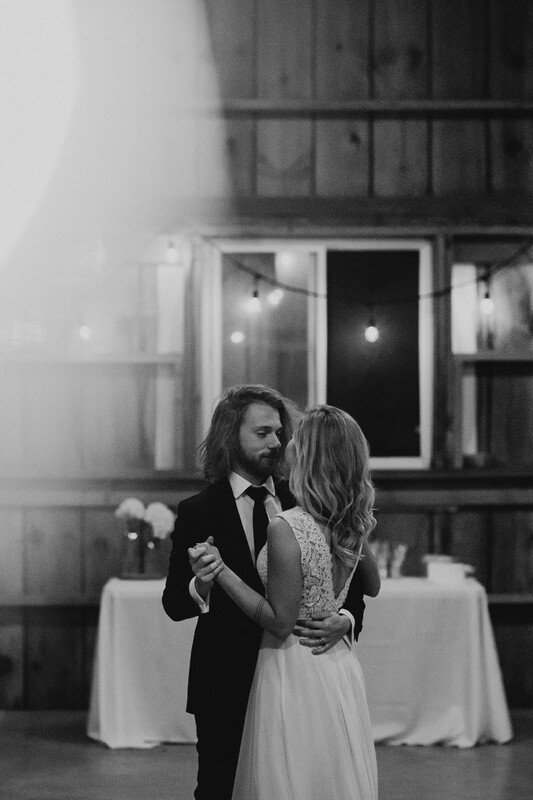 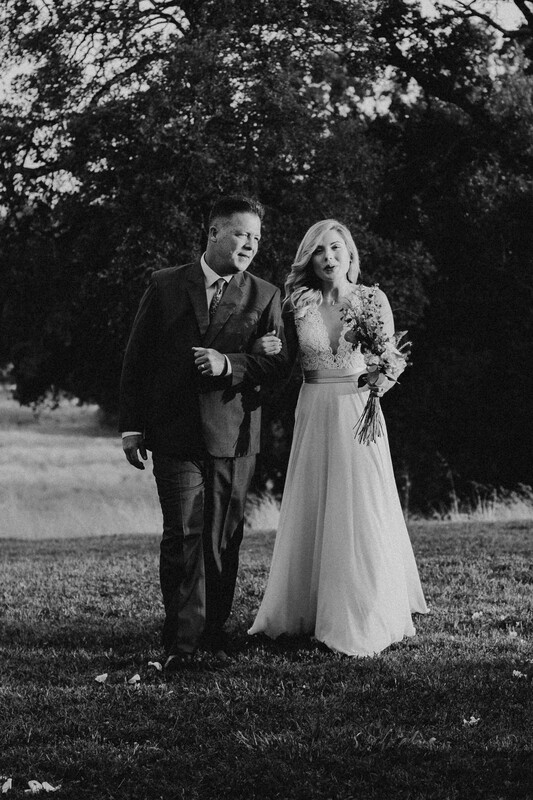 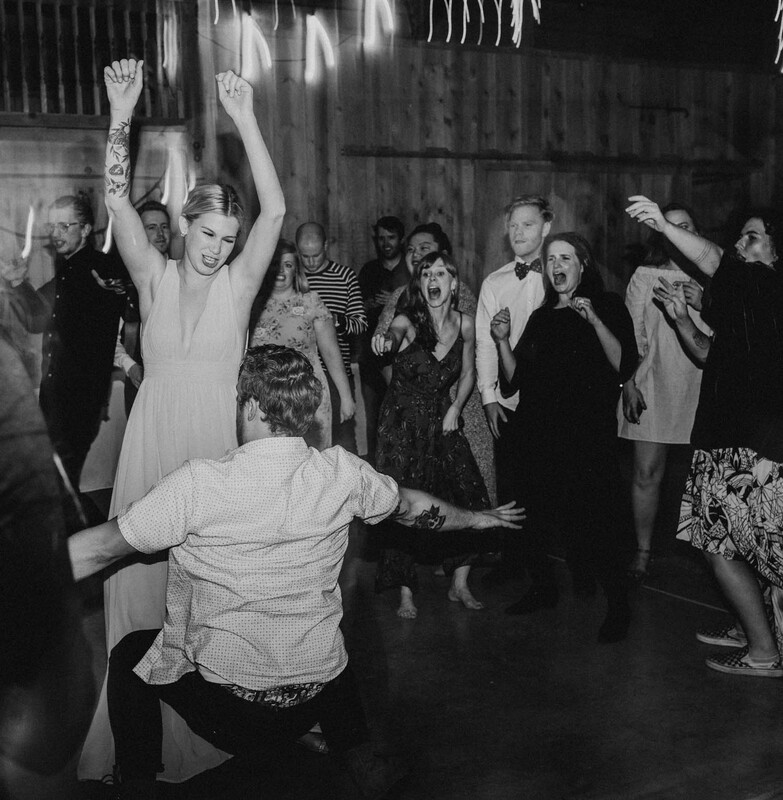 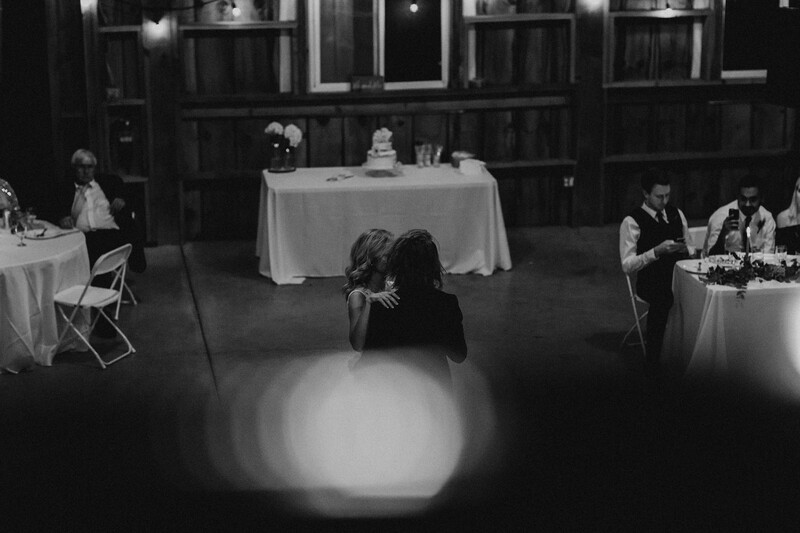 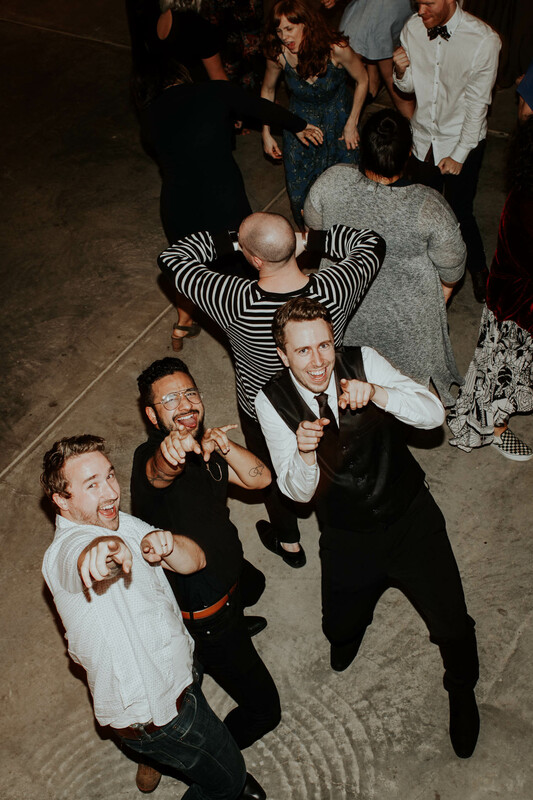 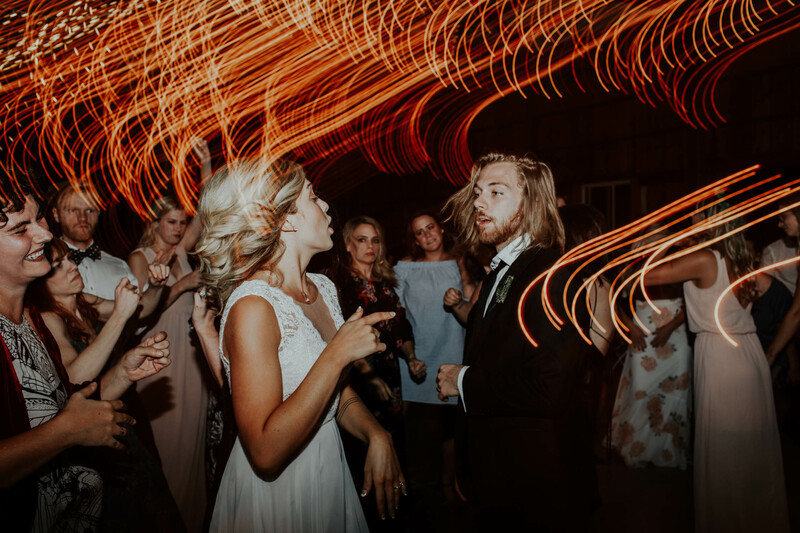 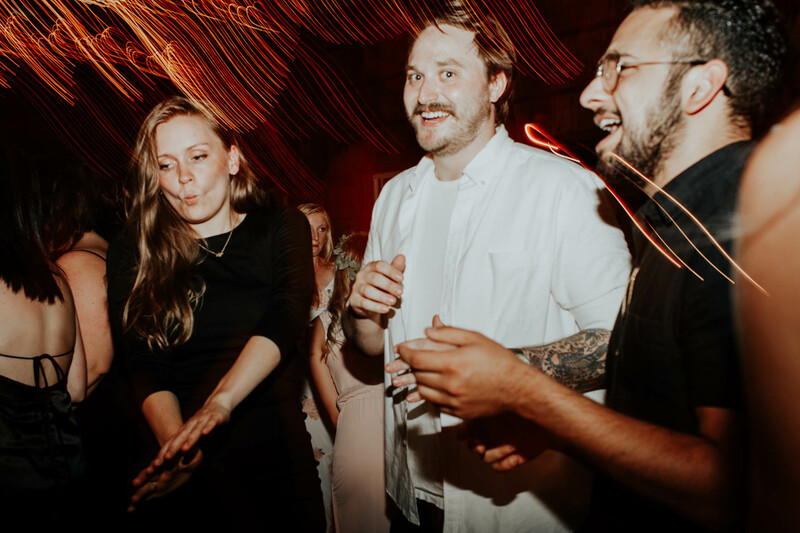 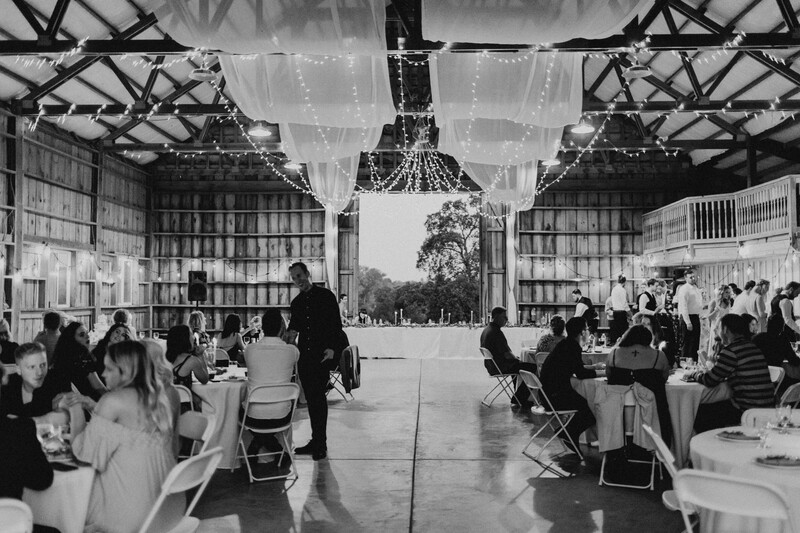 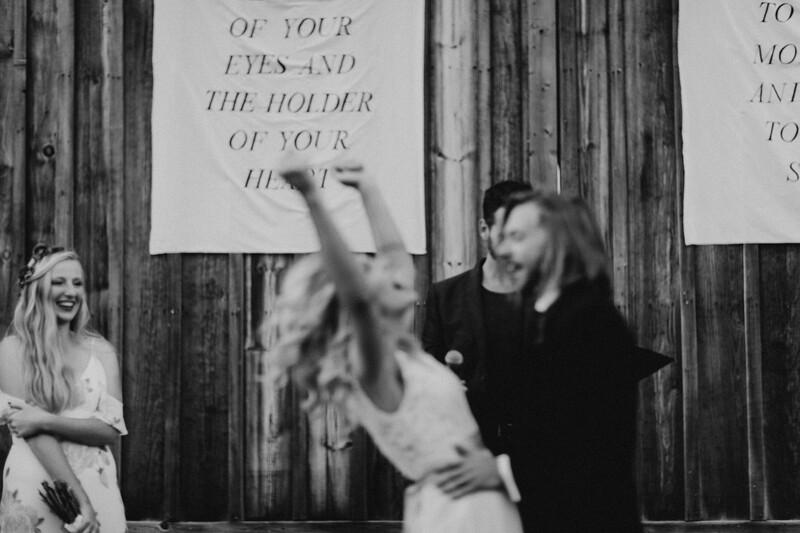 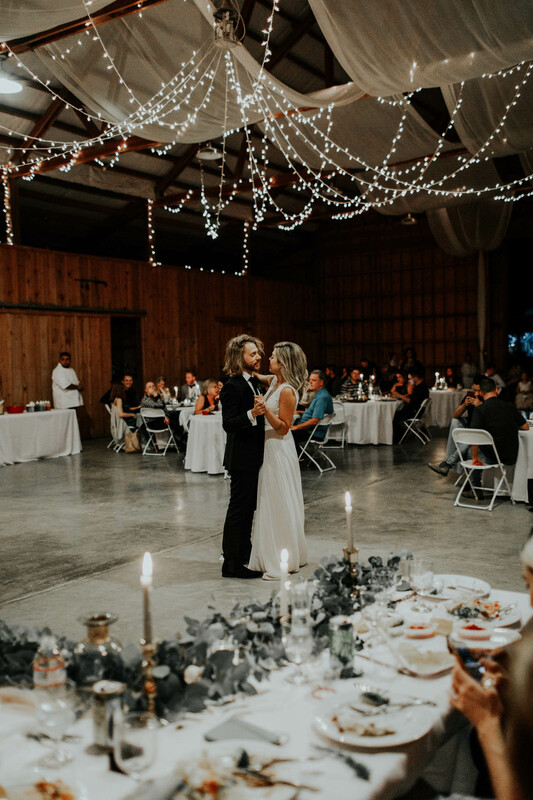 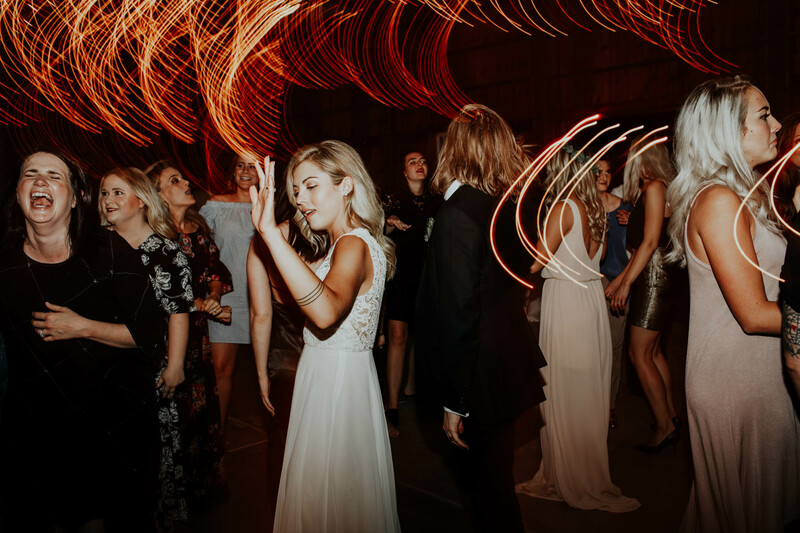 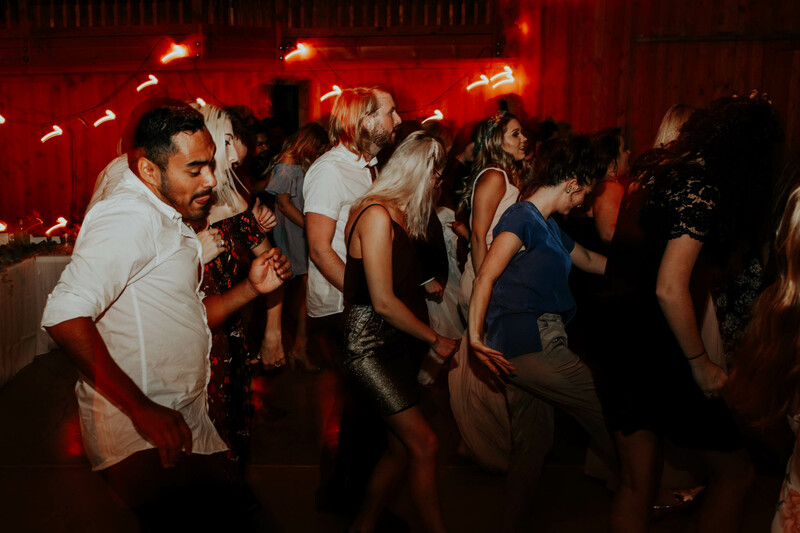 They skipped their way into the reception, with tacos, speeches, laughter, and plenty of dancing. 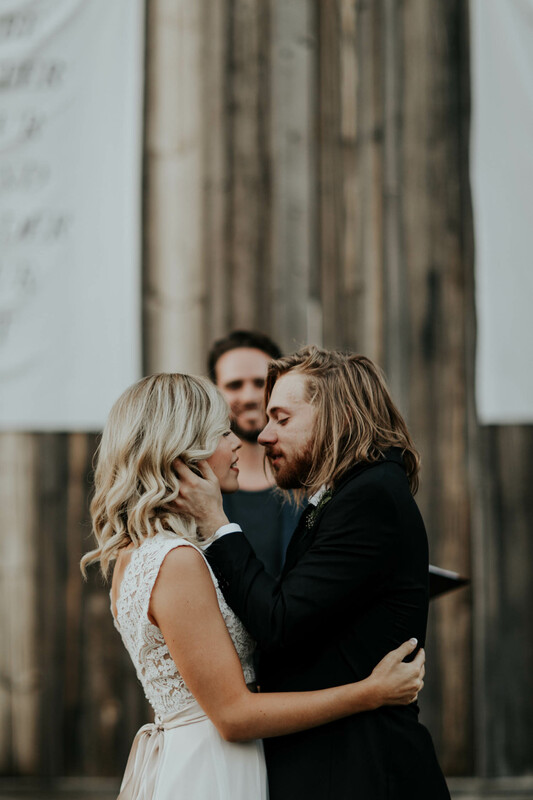 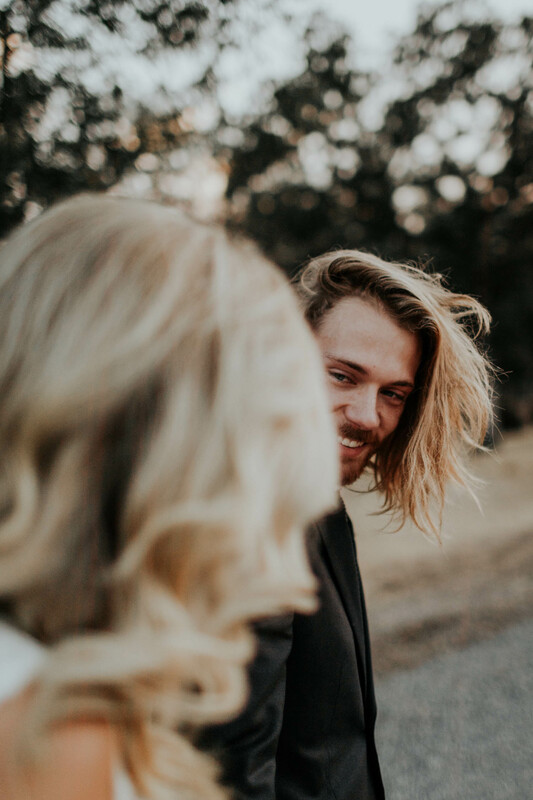 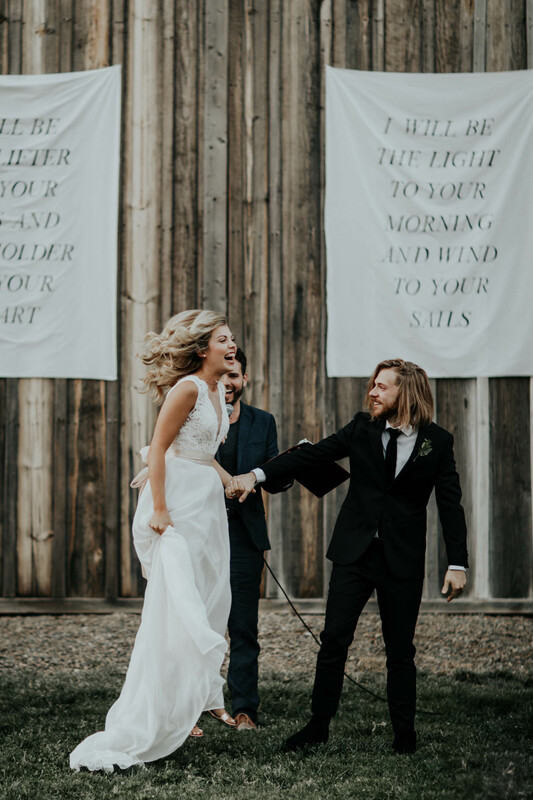 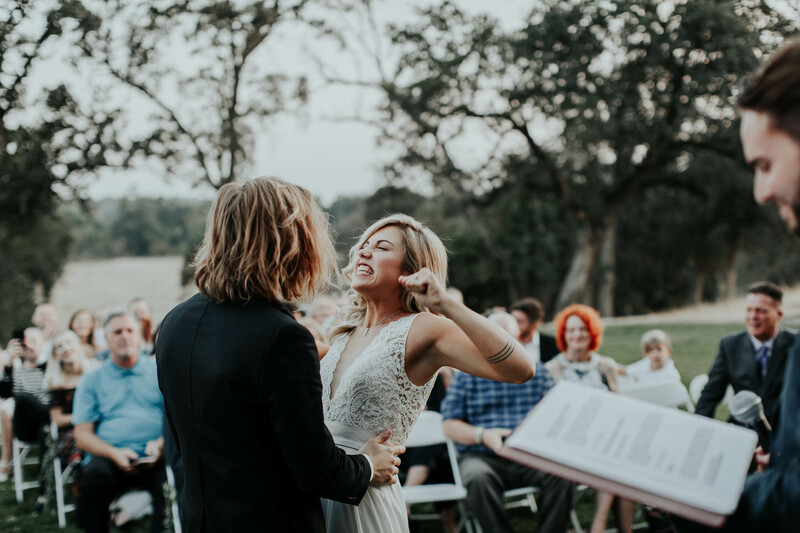 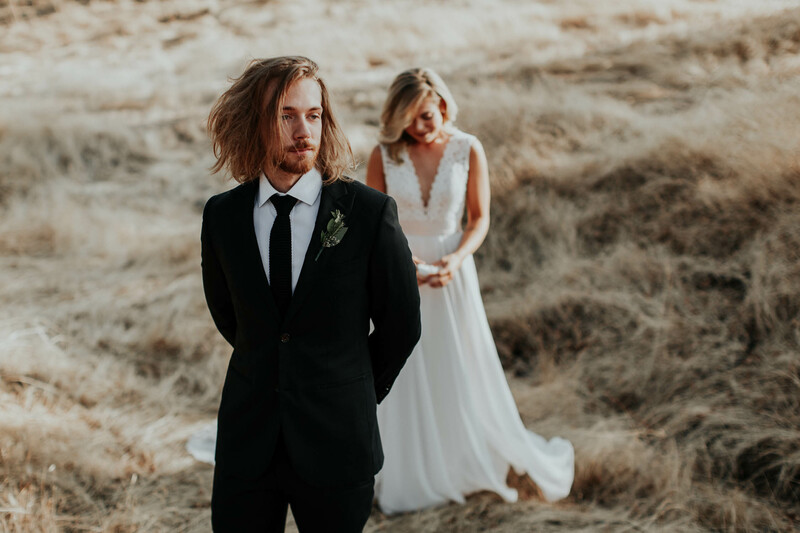 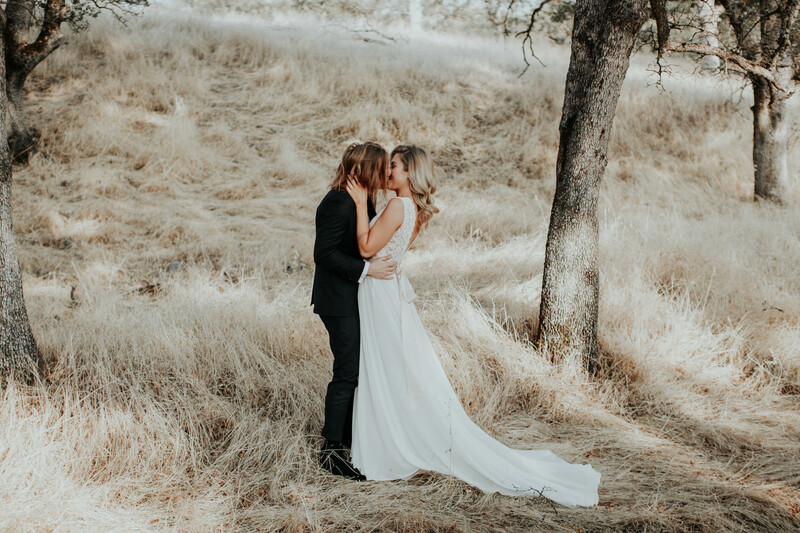 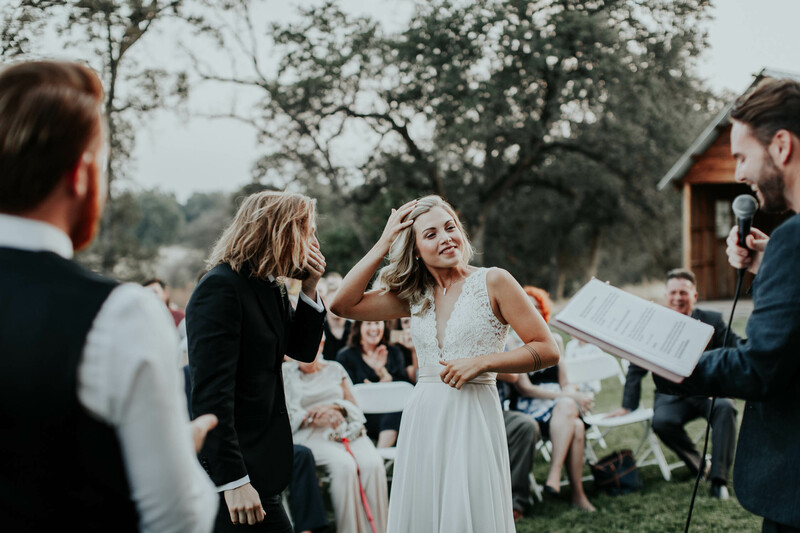 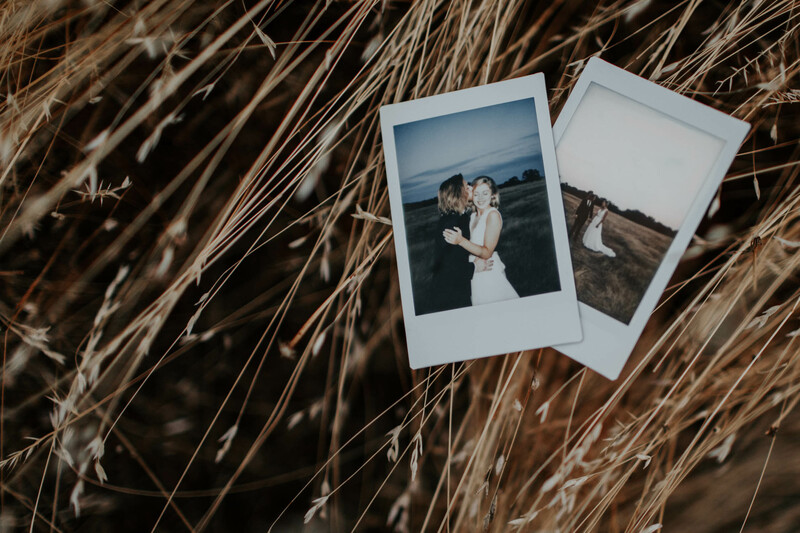 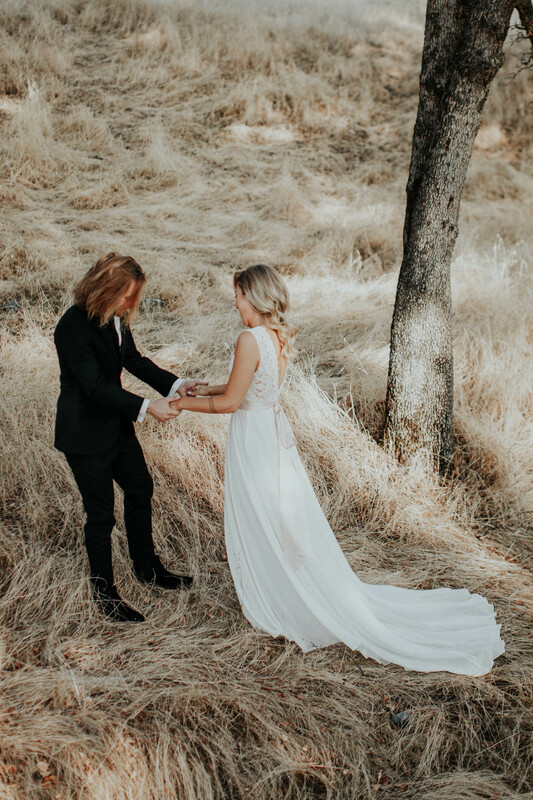 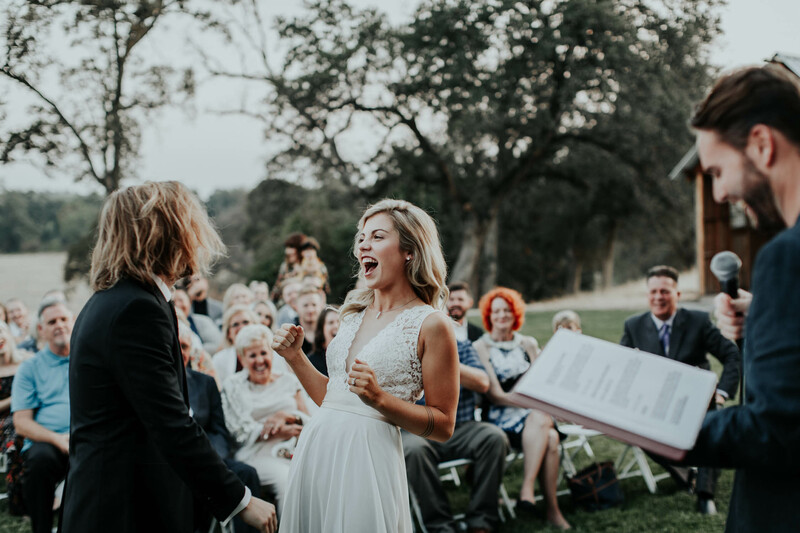 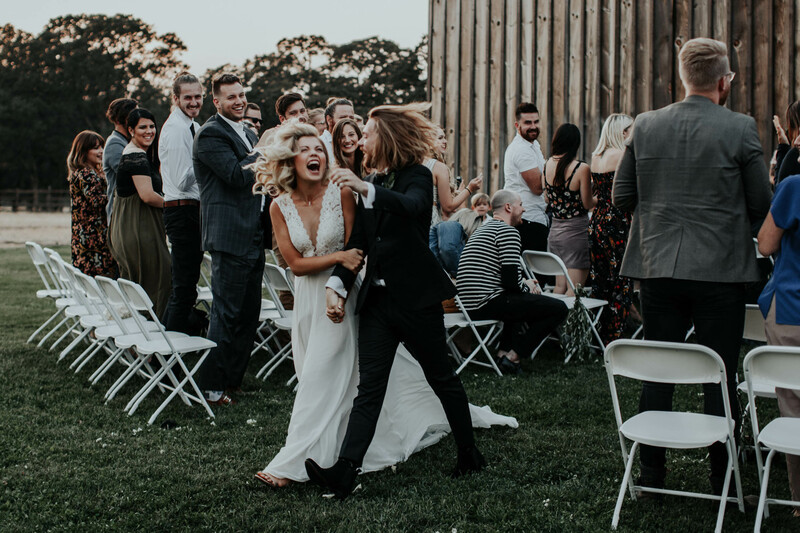 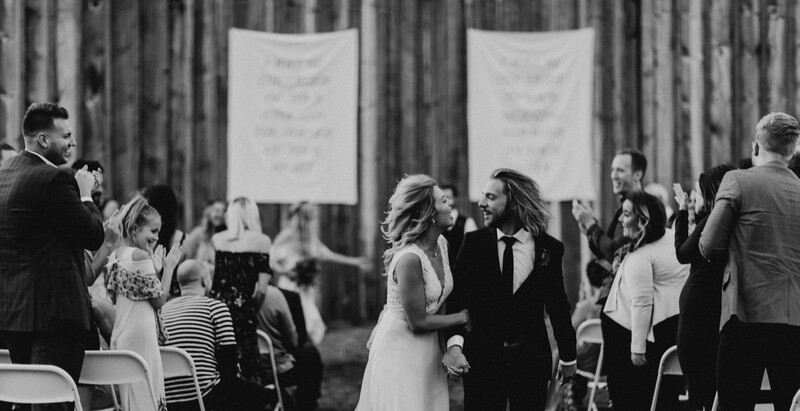 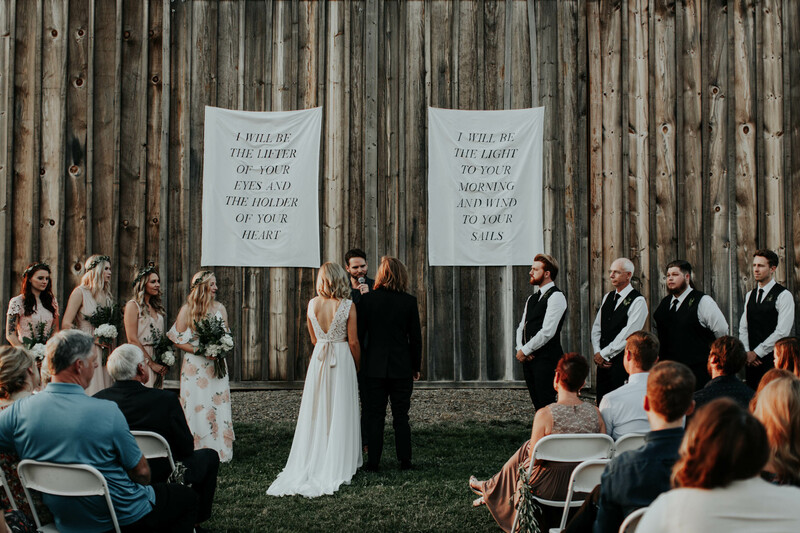 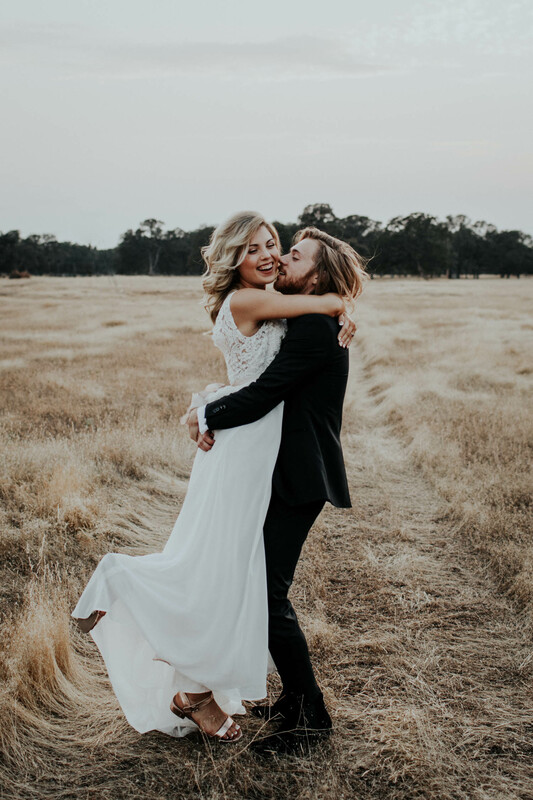 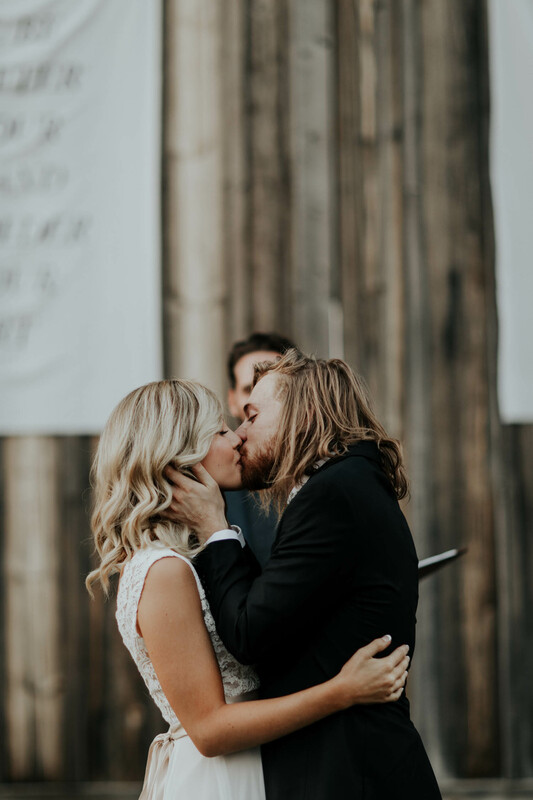 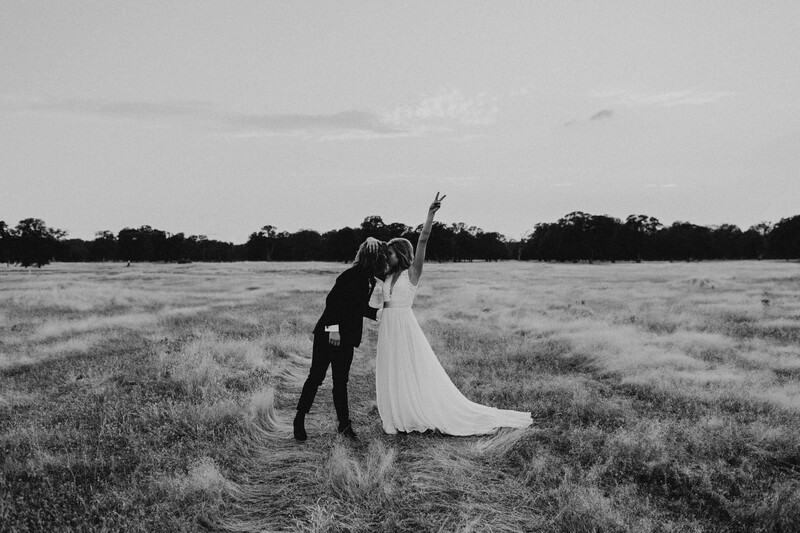 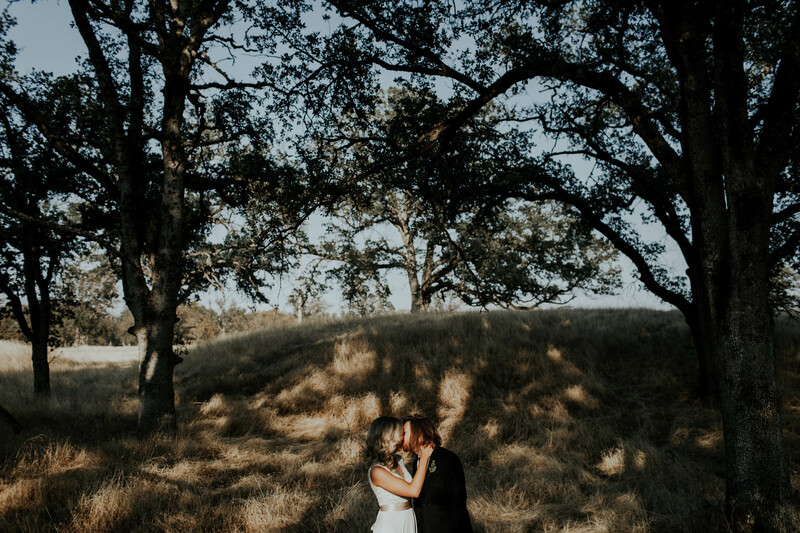 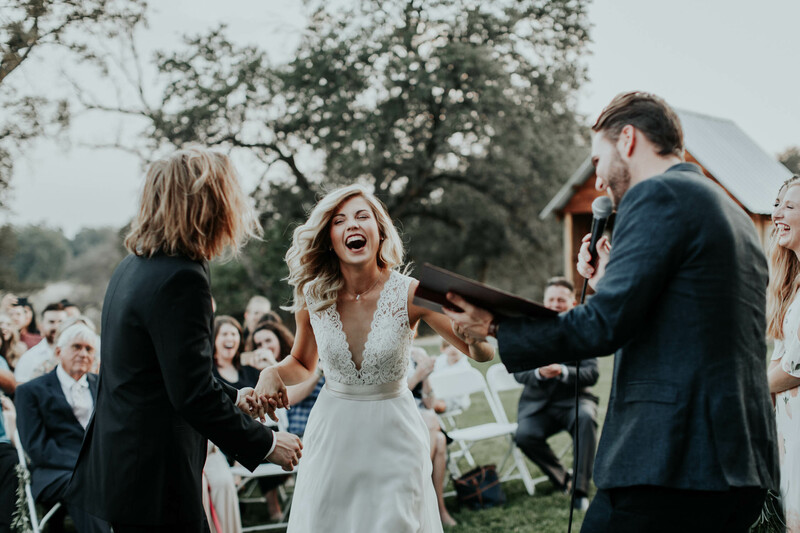 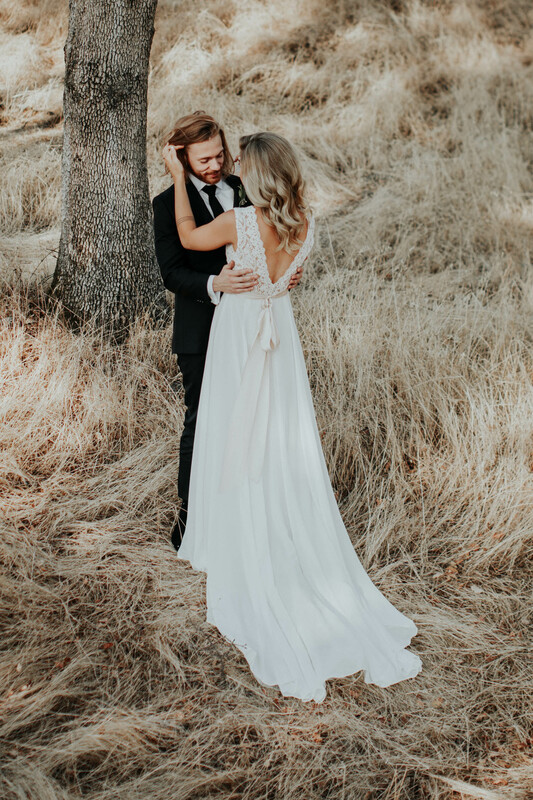 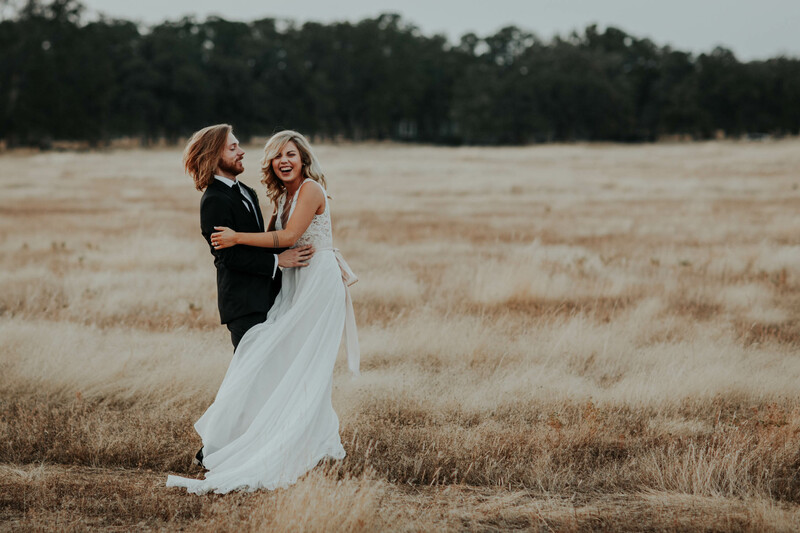 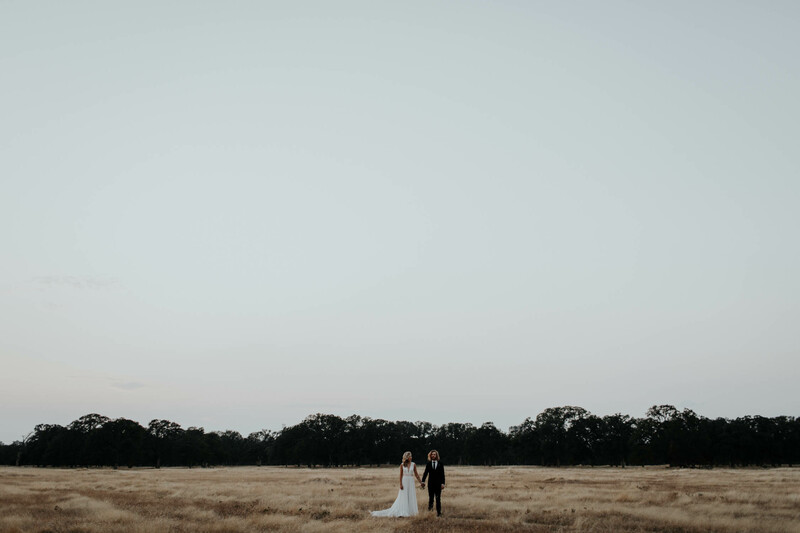 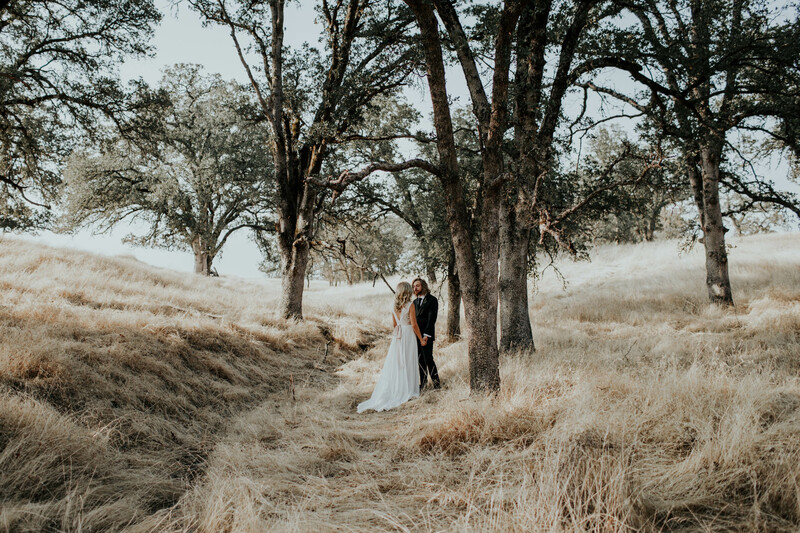 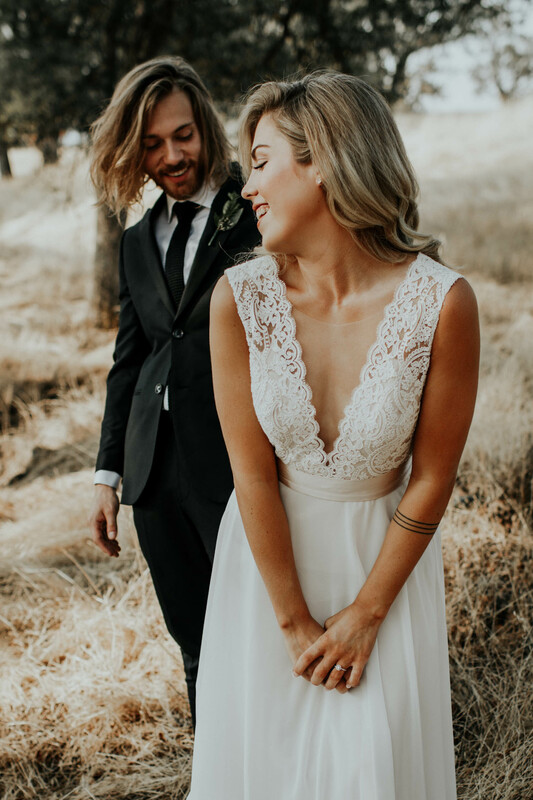 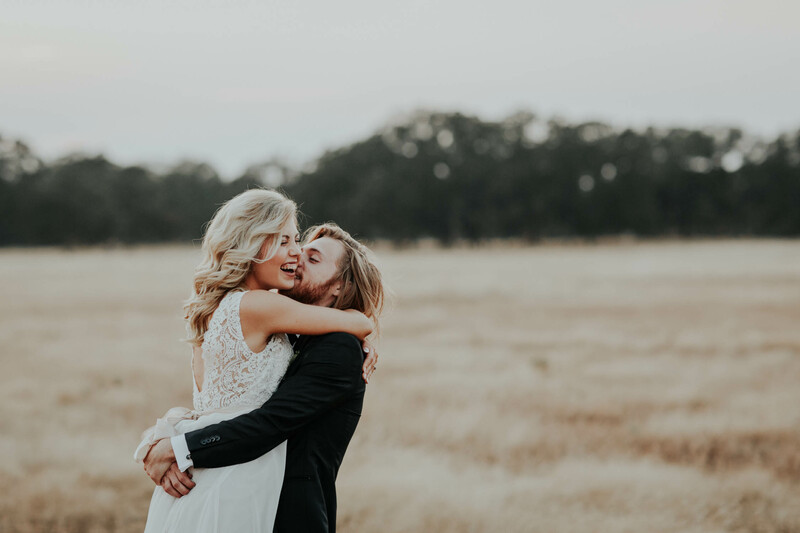 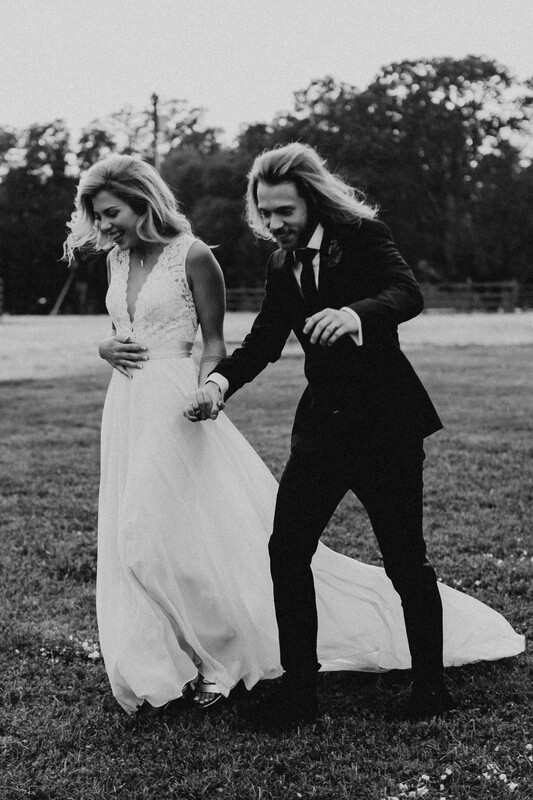 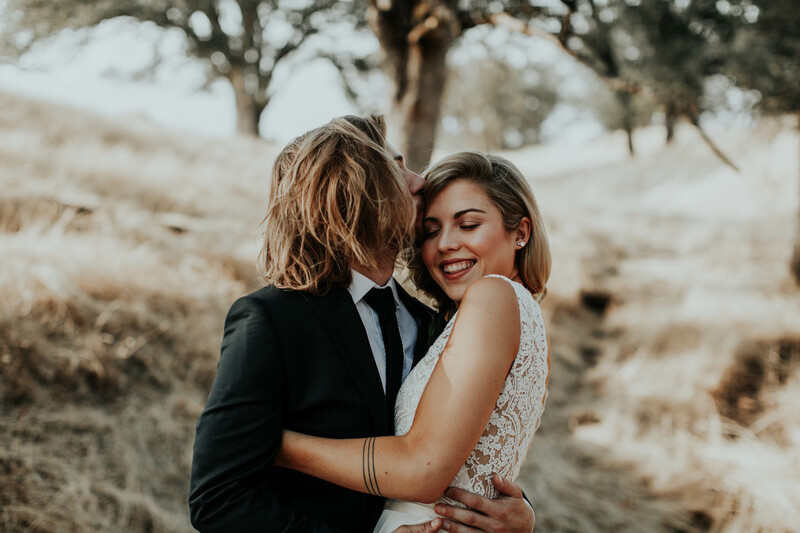 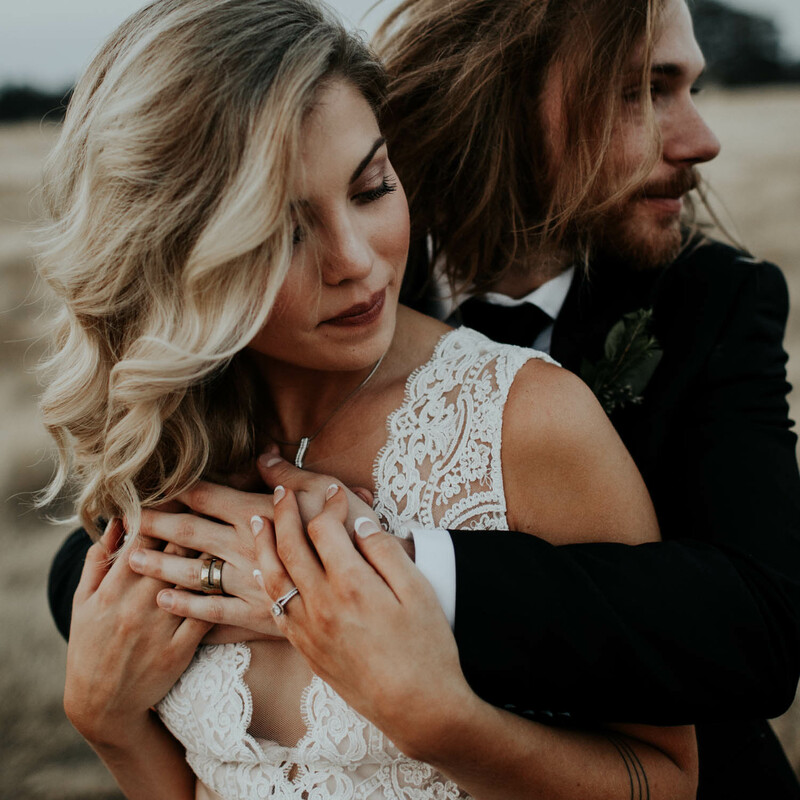 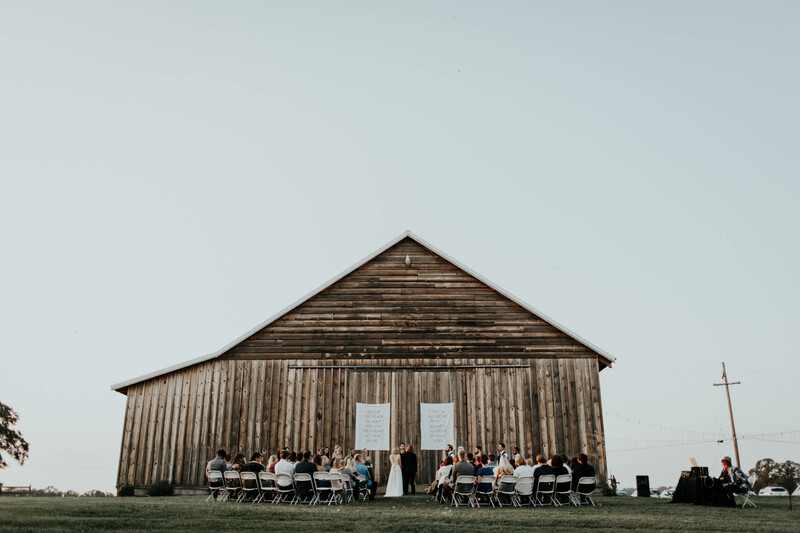 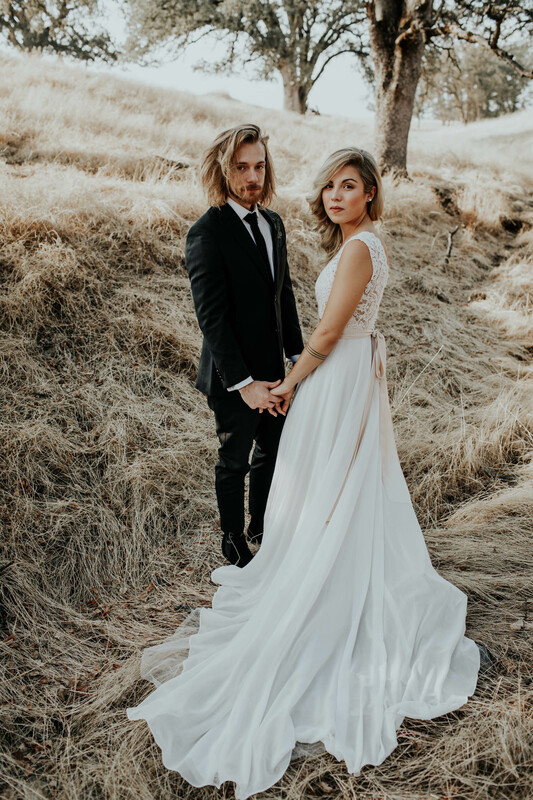 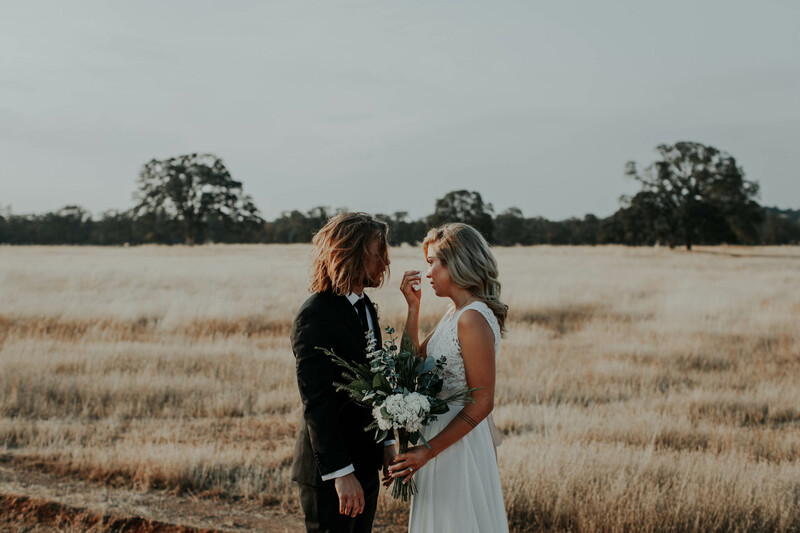 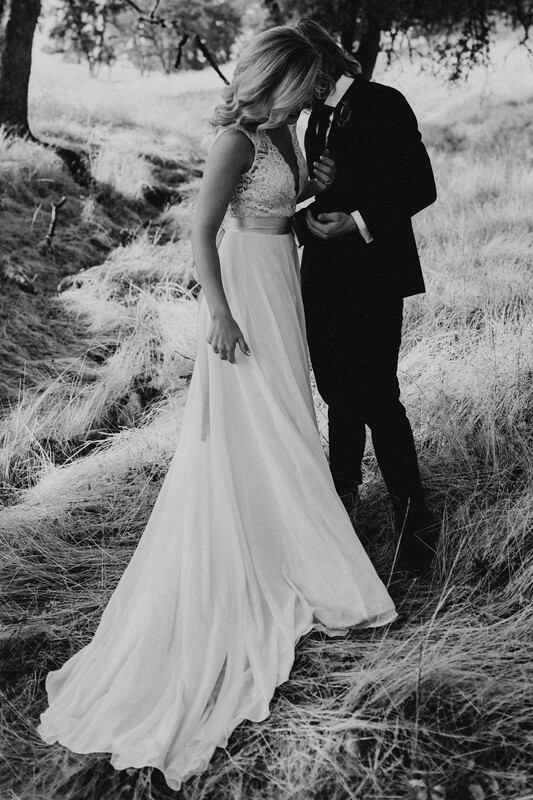 In total, the day itself summarized everything beautiful, fresh, pure, and lovely that comes with the joining of two lives – and every effervescent, hope-saturated moment brought the photos to an unbelievably animated life all its own.